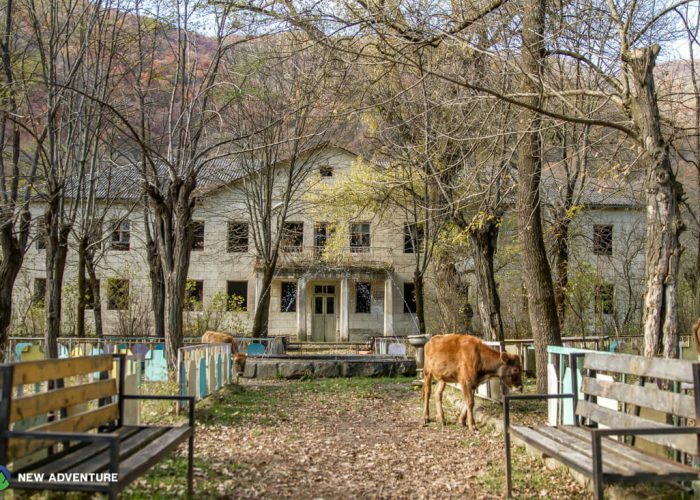 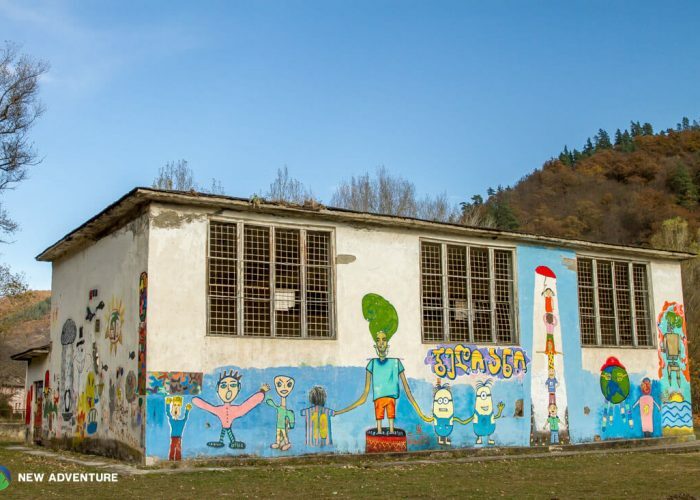 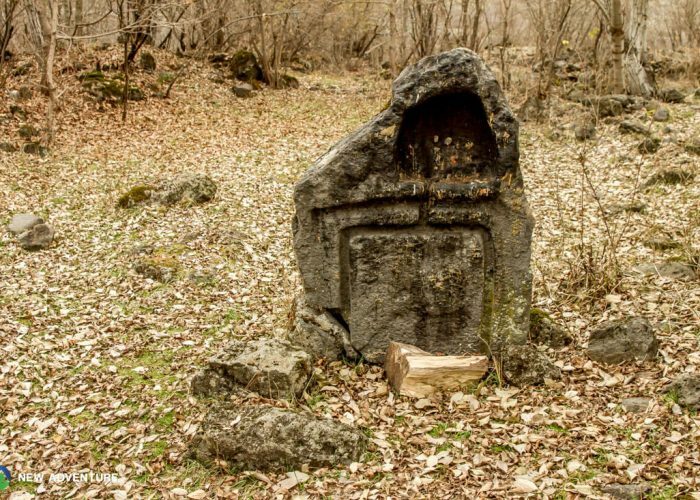 The tour takes place mostly in southern part of Georgia, particularly, in Kvemo Kartli and Samtskhe-Javakheti provinces. 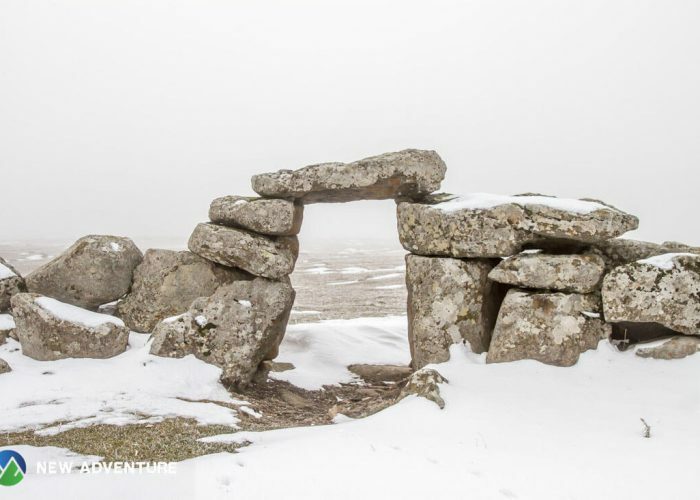 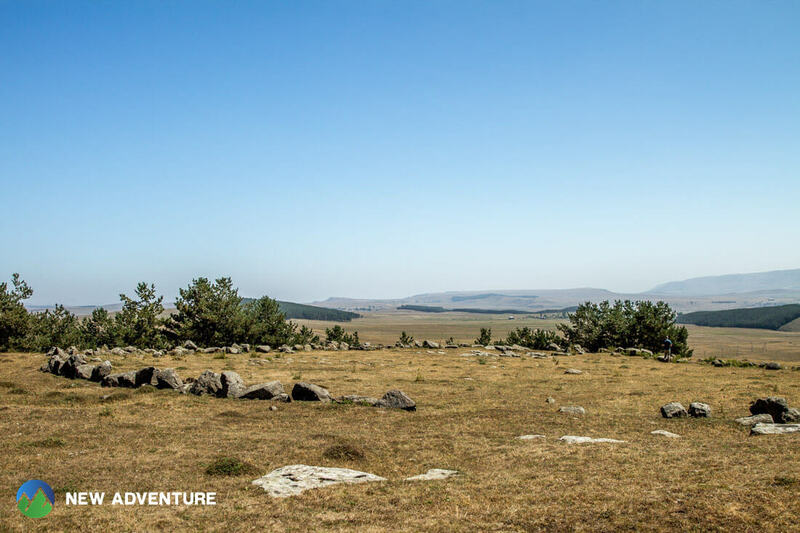 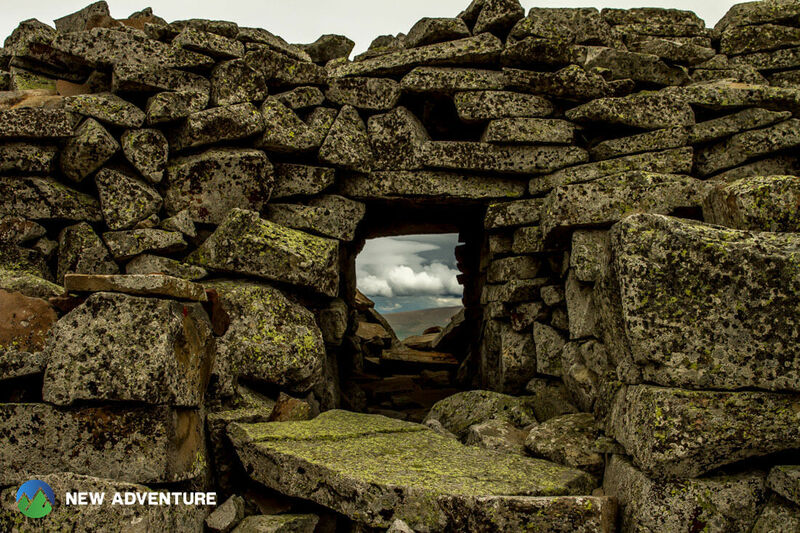 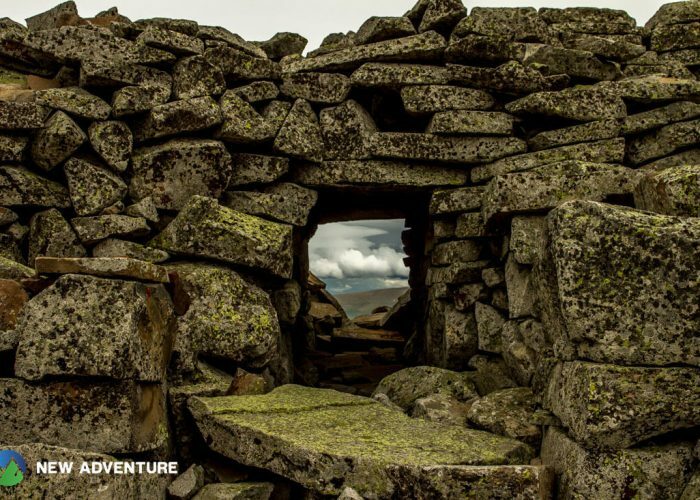 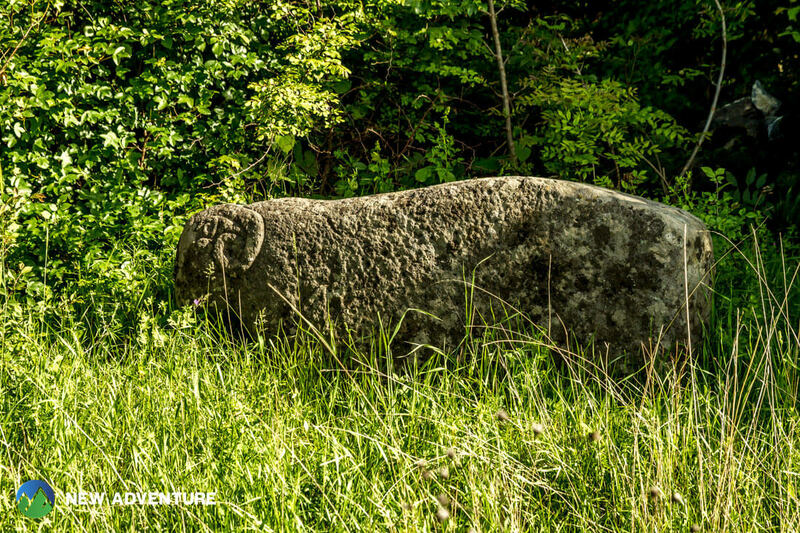 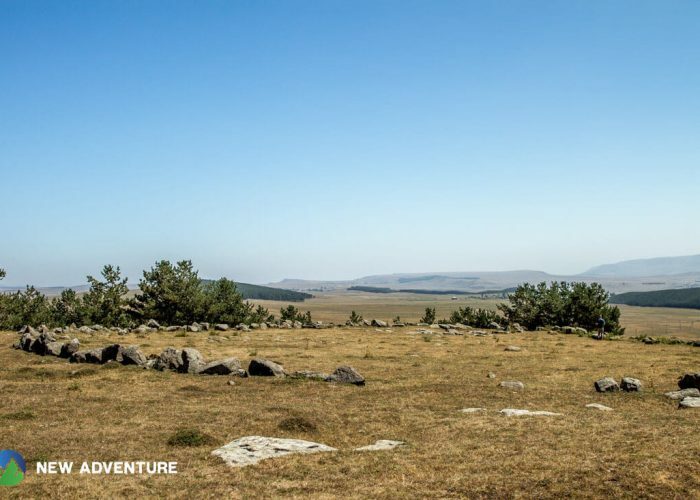 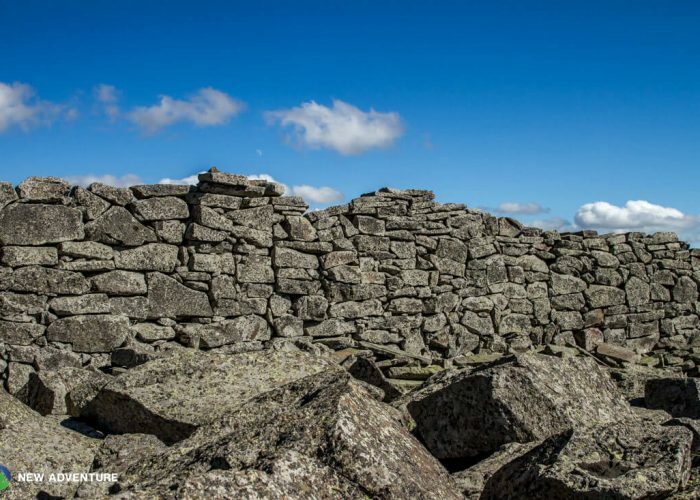 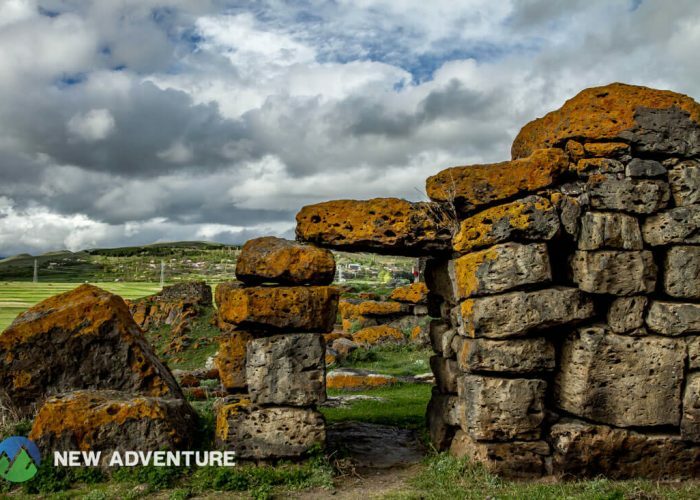 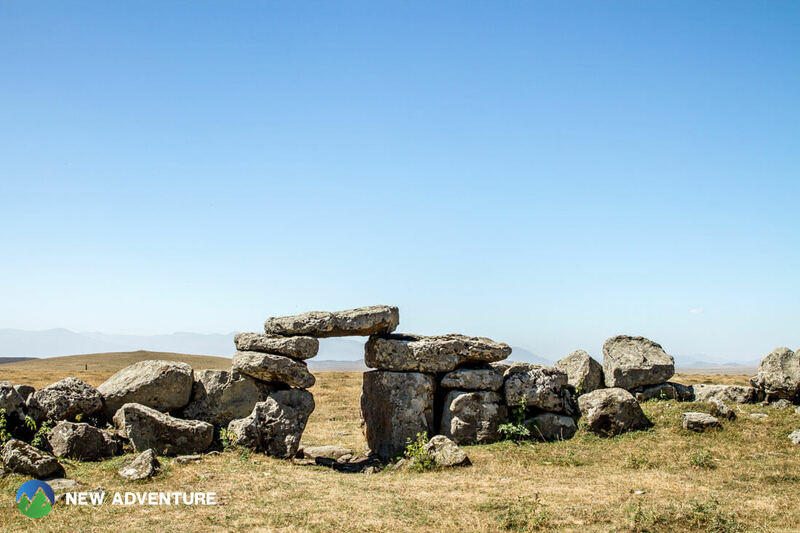 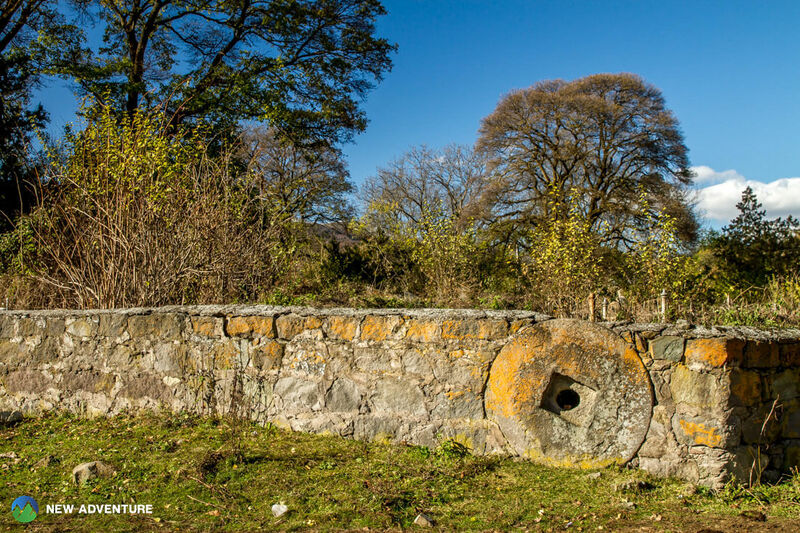 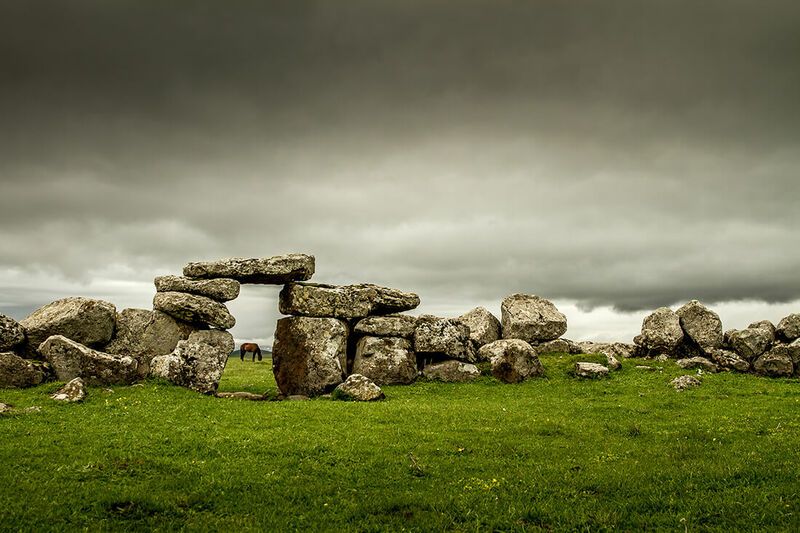 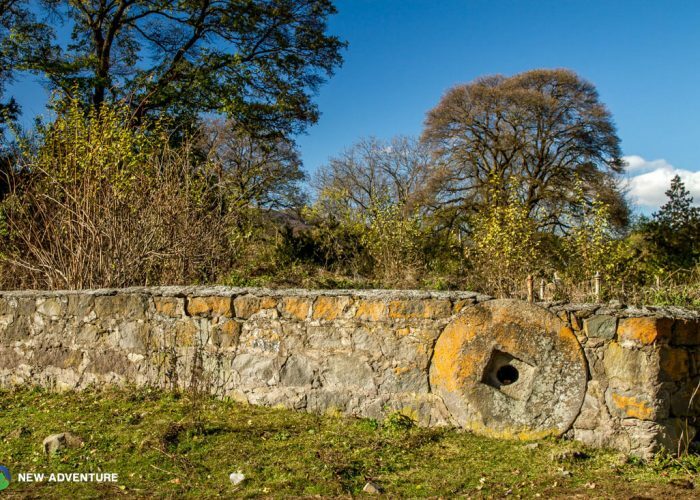 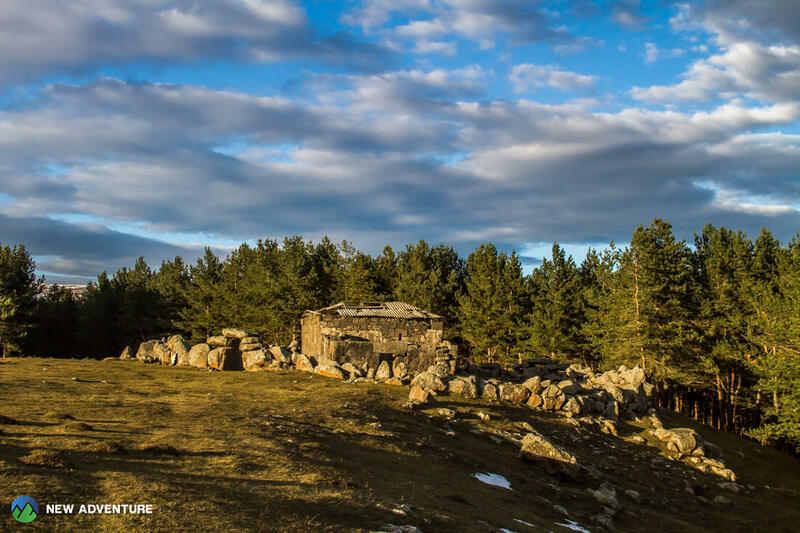 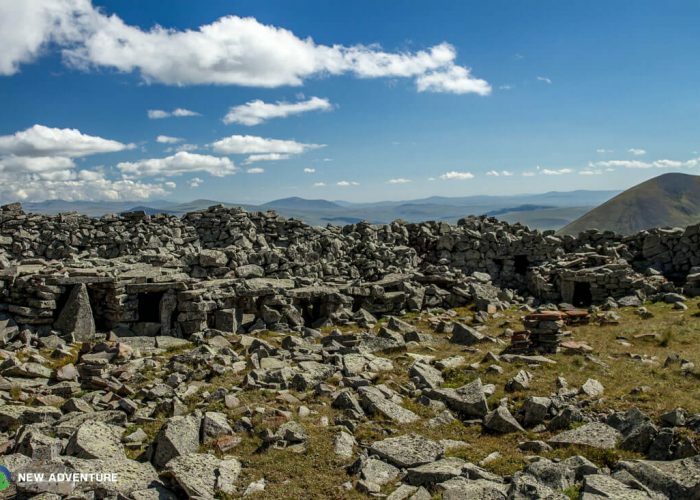 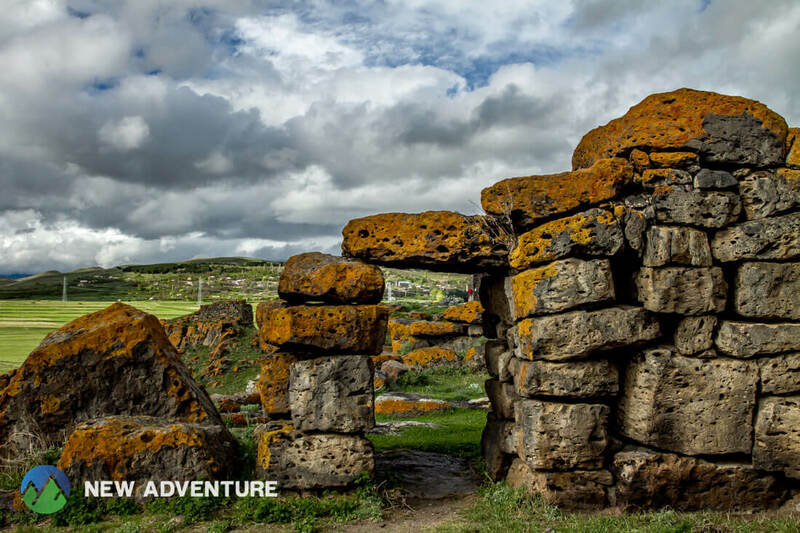 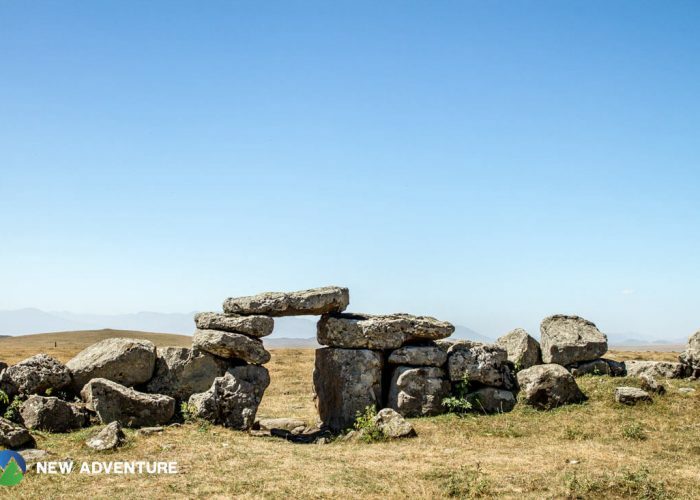 During the tour, we have an opportunity to discover less known ancient megalithic monuments. 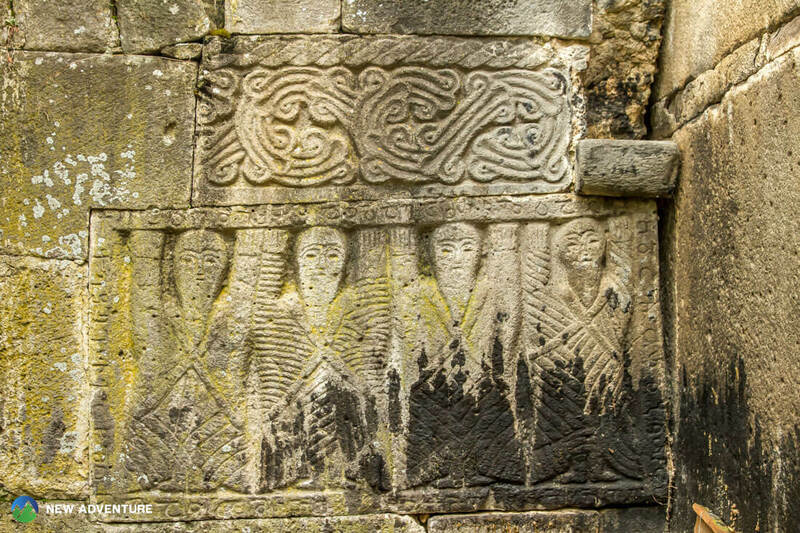 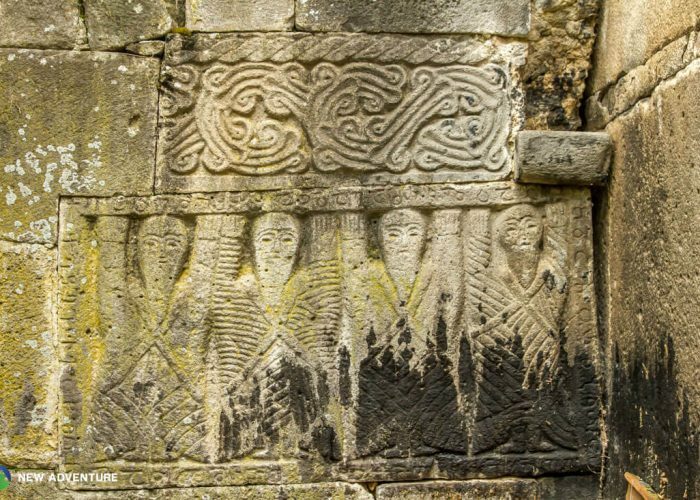 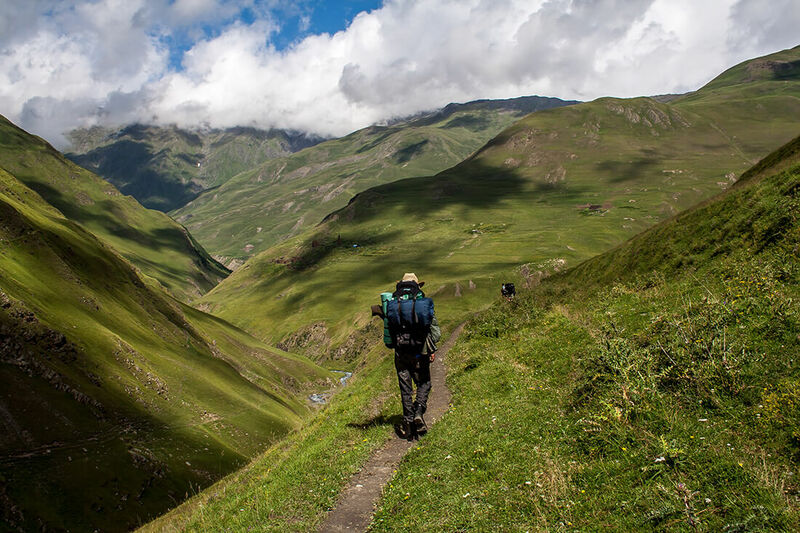 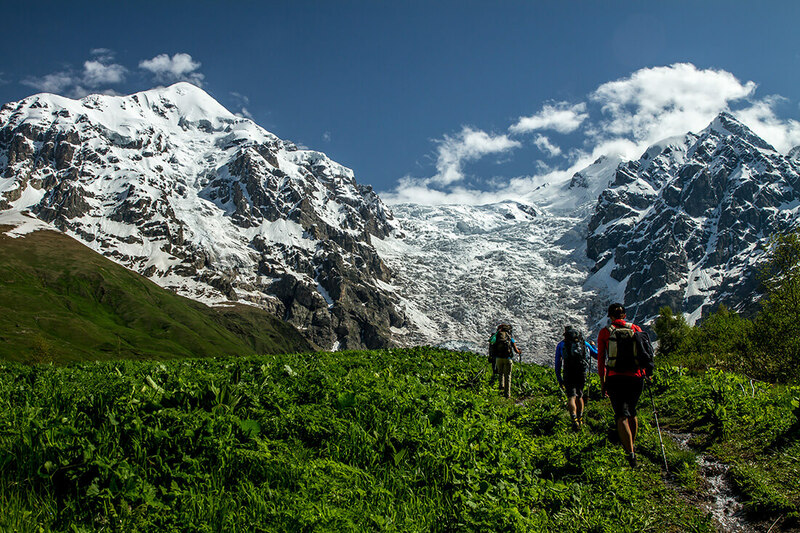 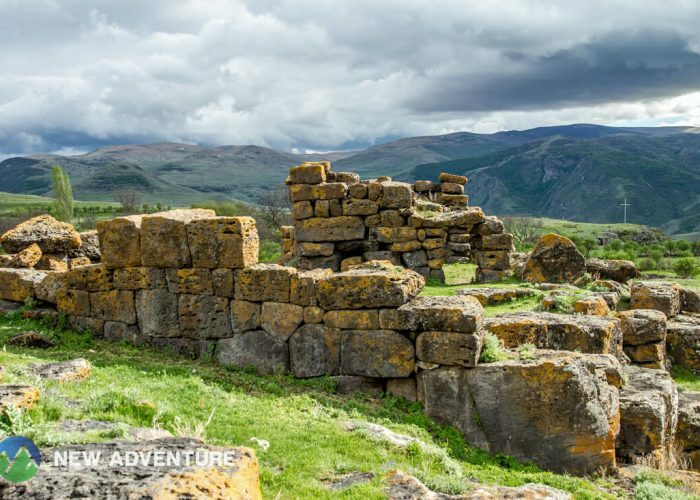 We explore Lesser Caucasus famous with its fantastic landscapes and visit ancient cult monuments, where megalithic and christian cultures are interrelated. 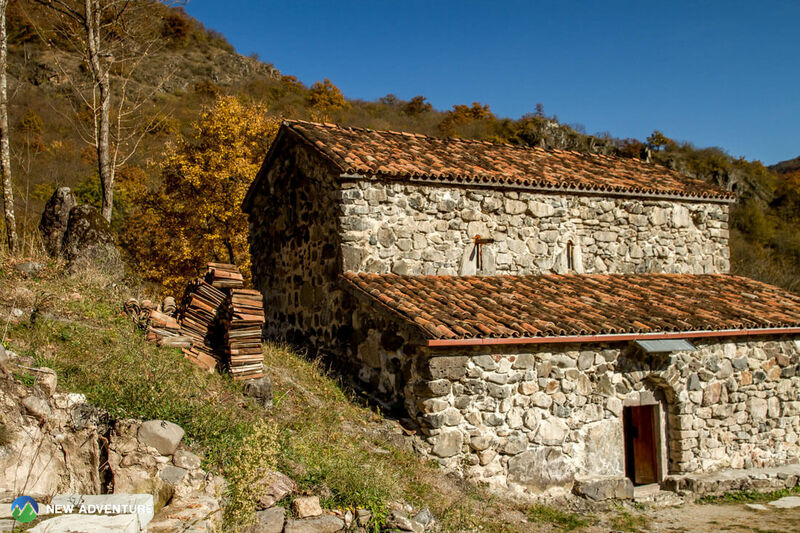 Of course, we taste delicious dishes of Georgian cuisine and get to know Georgian hospitality. 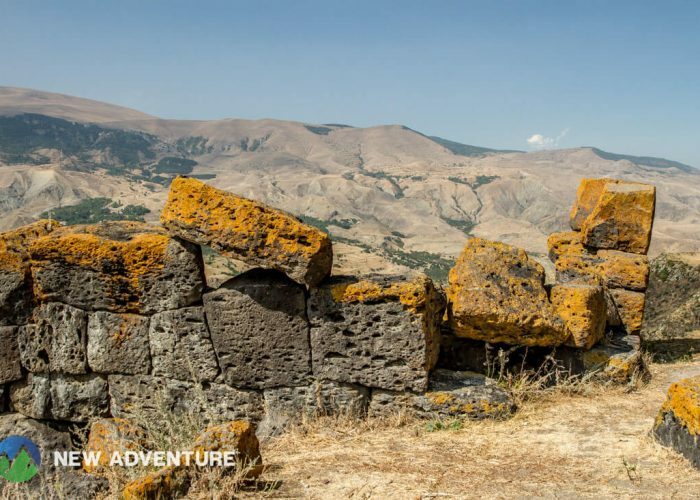 On the first day of our trip, we drive to Tetritskaro via Koda. 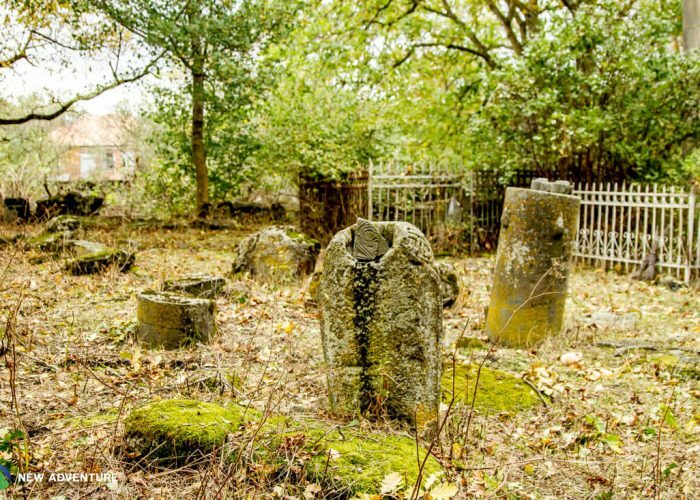 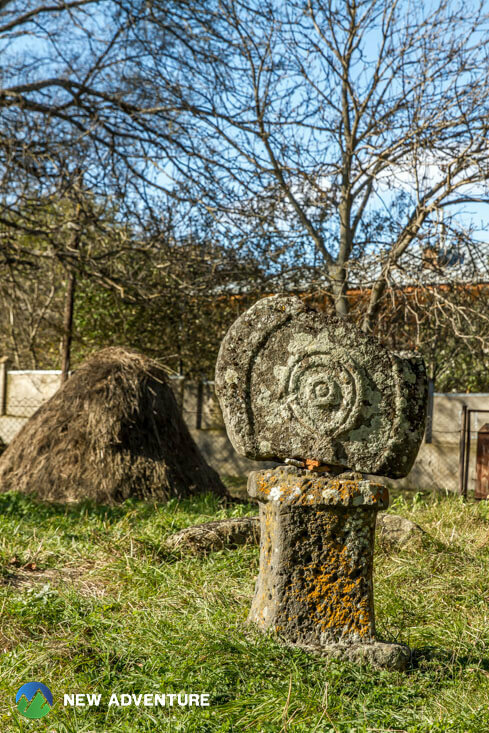 On our way, we visit former Swabian village Elizabetal in Asureti and megalithic fortress and trinity church in the village of Chkhikvta. 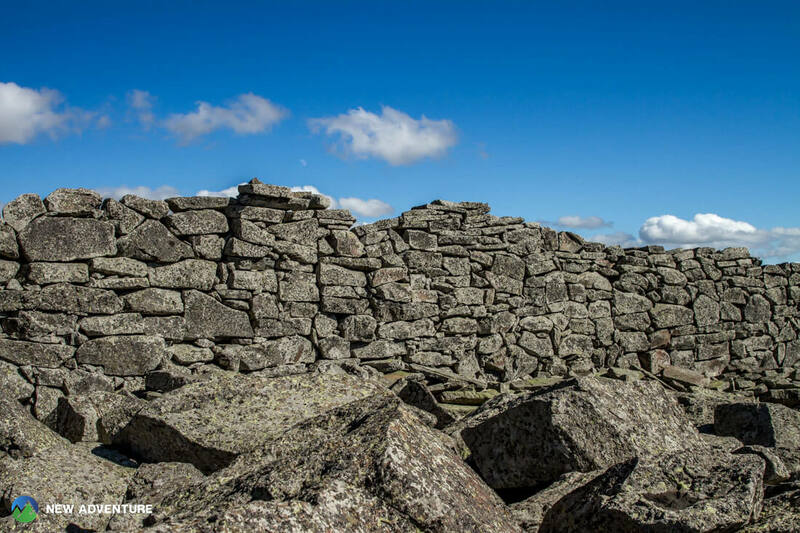 Afterwards, our journey continues to a very mystical and one of the oldest ruined fortified cities called Samshvilde. 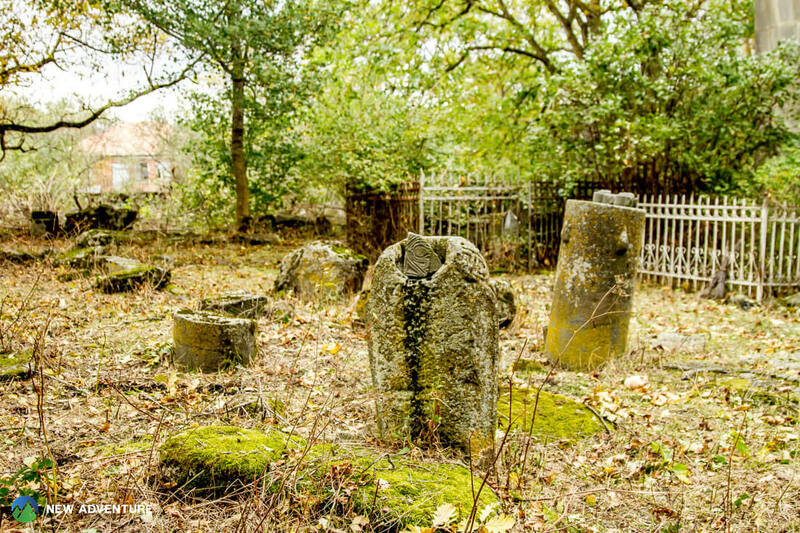 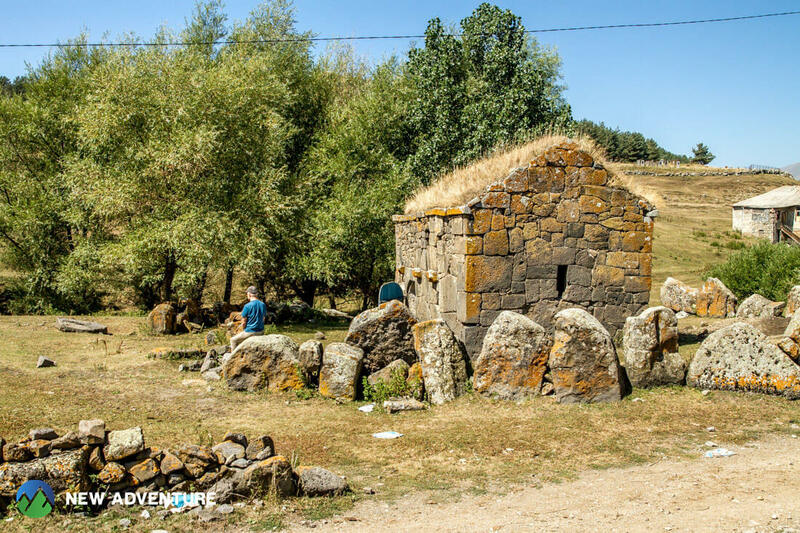 We take a long walk around the ruins to visit menhirs (one of them located in a church), former settlements, old streets, tombs dating back to the 4th-3rd millennia. 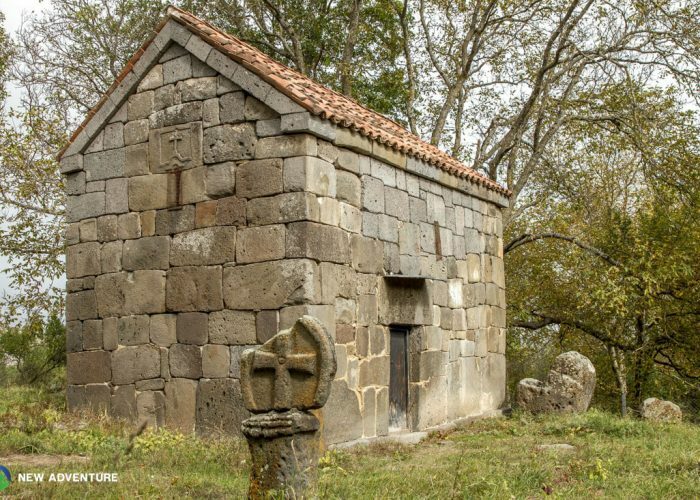 Furthermore, we meet christian churches built between the 5th–17th centuries, ruins of fortification and other constructions of different purposes. 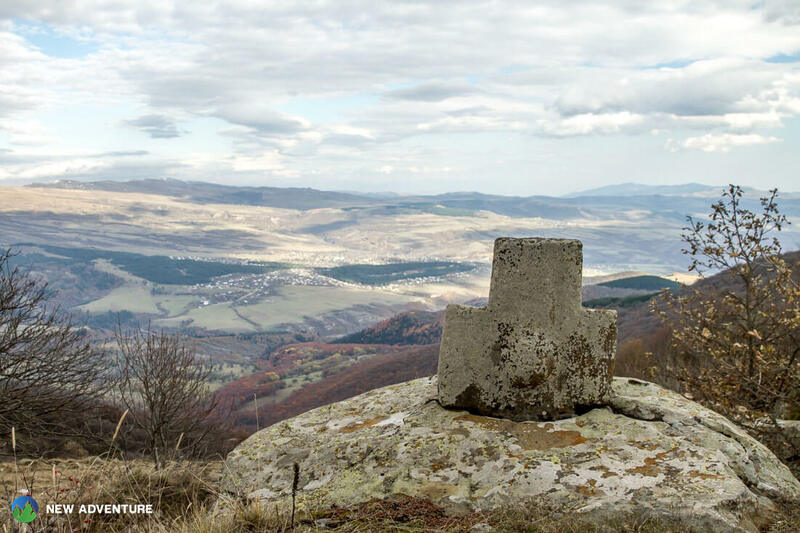 We start the day with driving towards Tsalka. 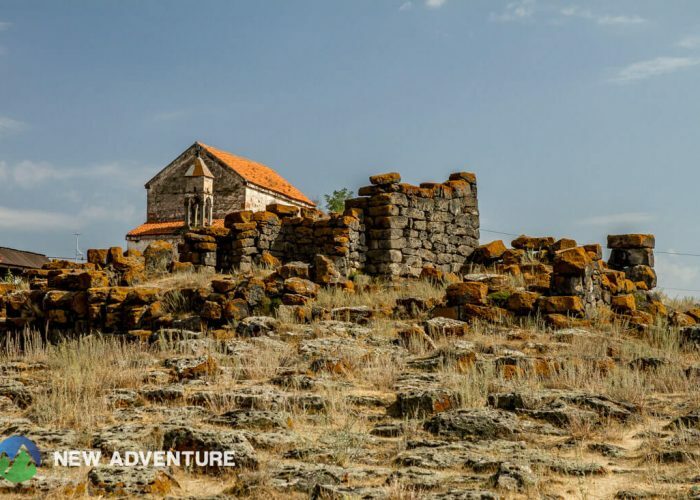 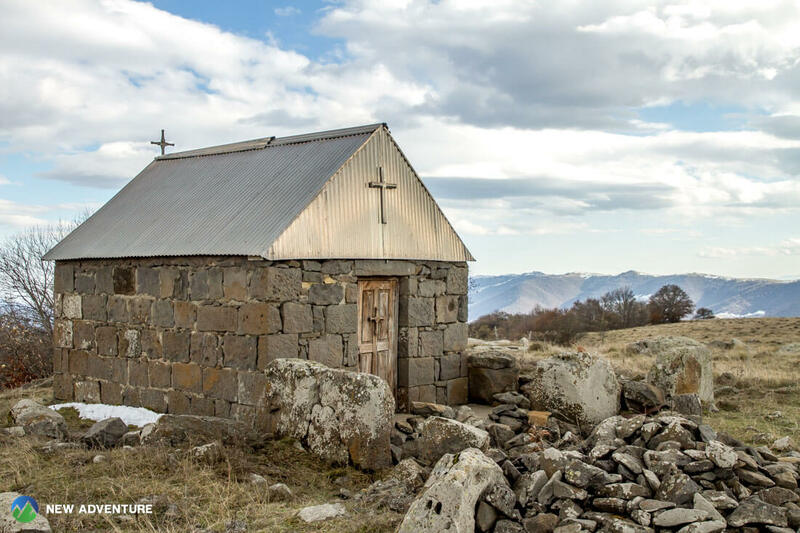 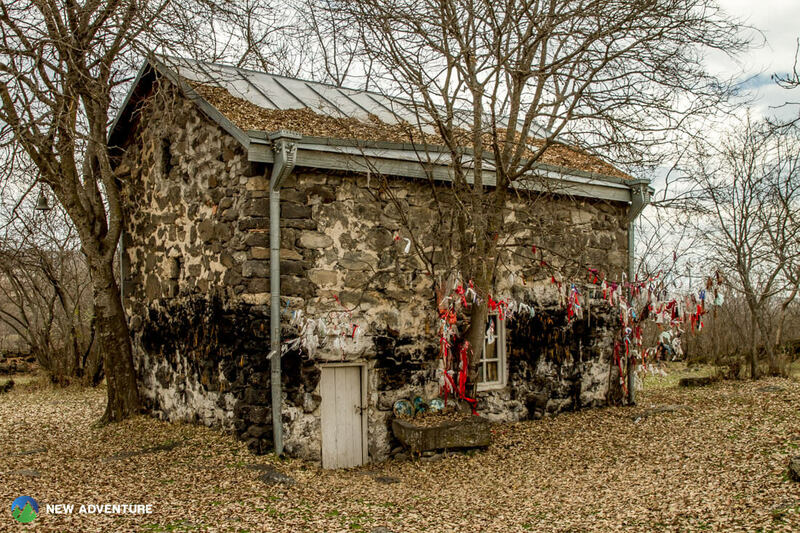 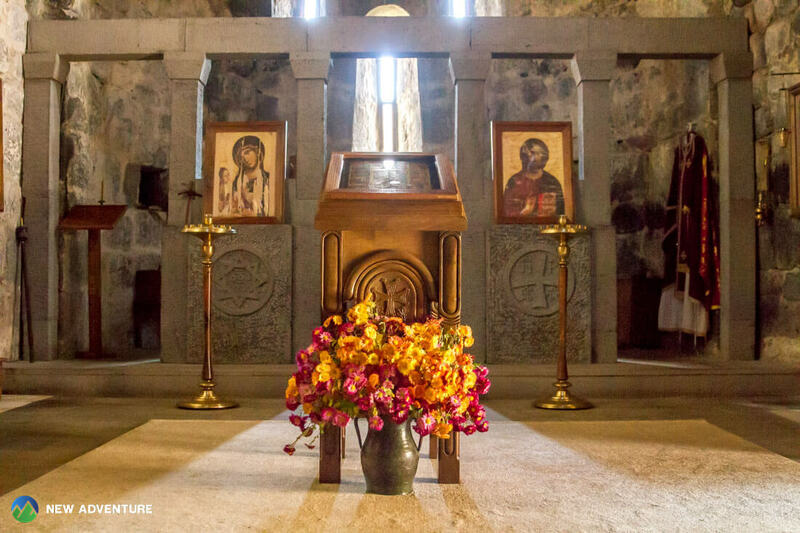 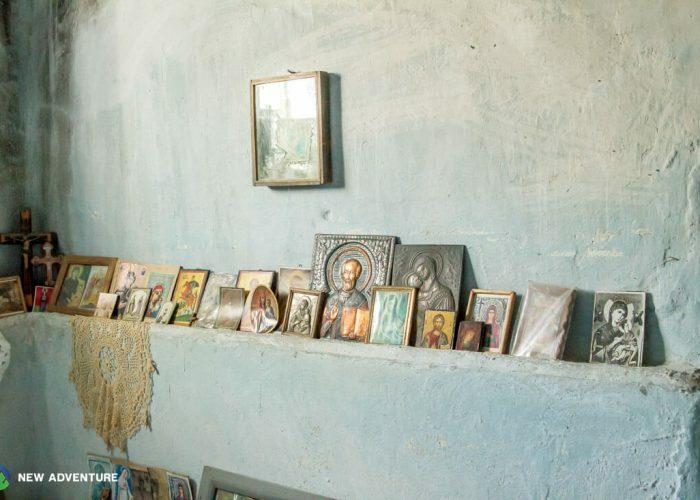 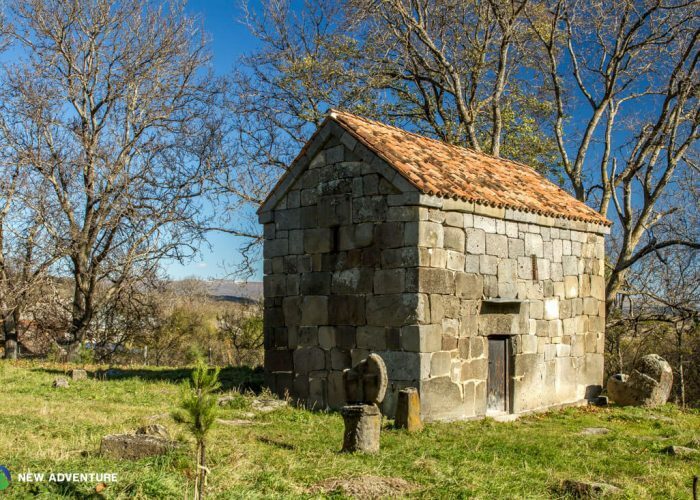 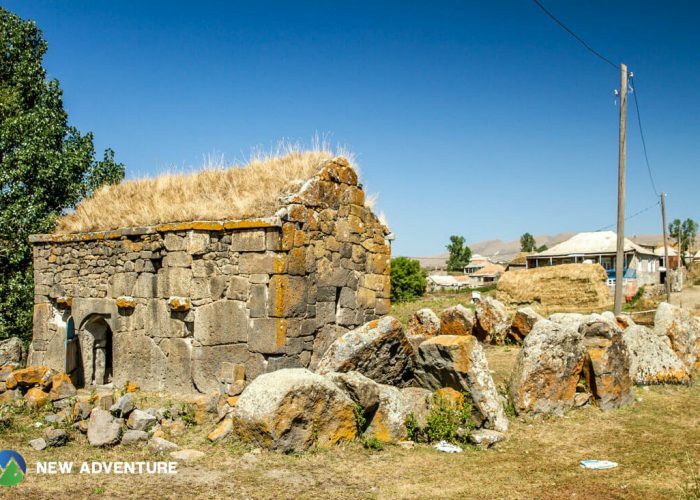 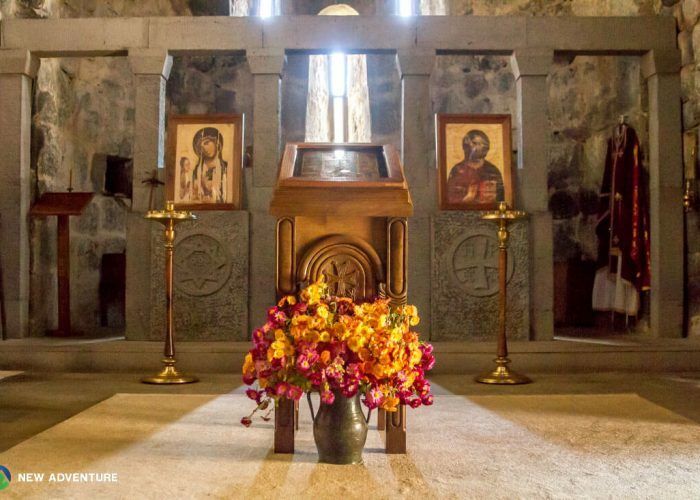 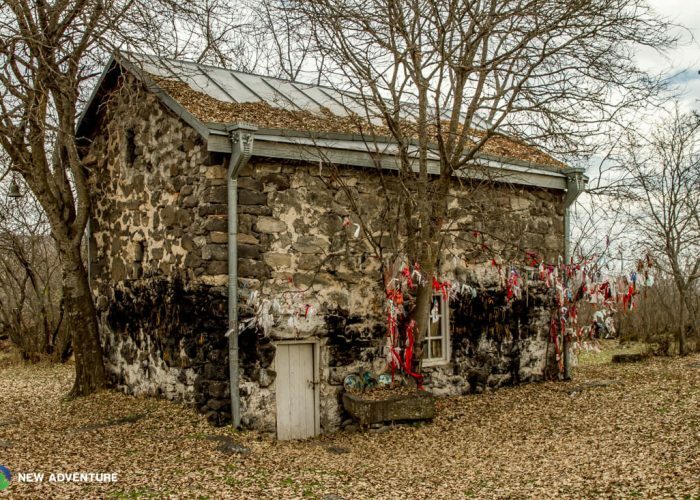 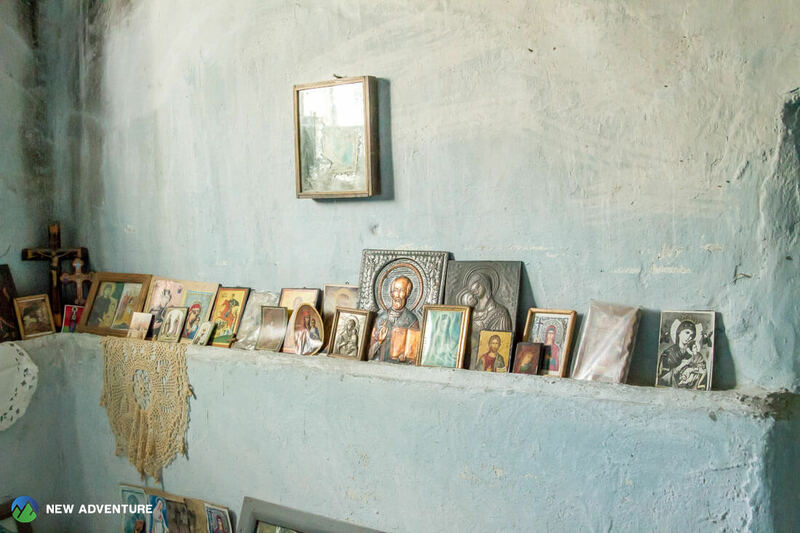 On our way, we visit churches of St. George and St. Mariam in the village of Akhalsopeli and ancient cemetery, megalithic ruins of the former citadel, dolmens, menhirs and church of St. George in the village of Gokhnari. 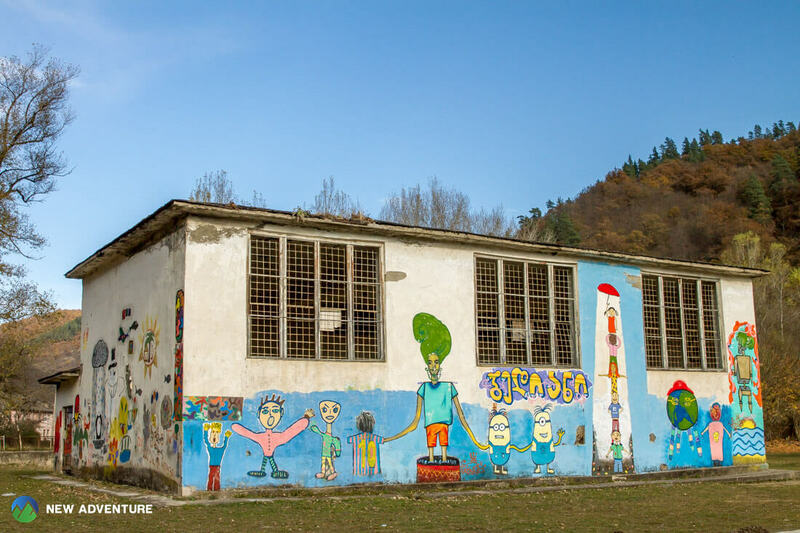 We finish our day in Tsalka. 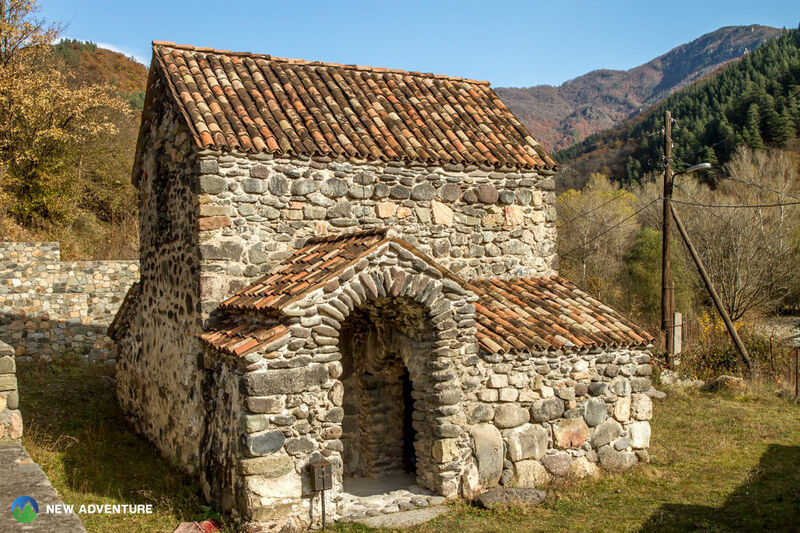 On the third day of our journey, we start driving to the village Pantiani. 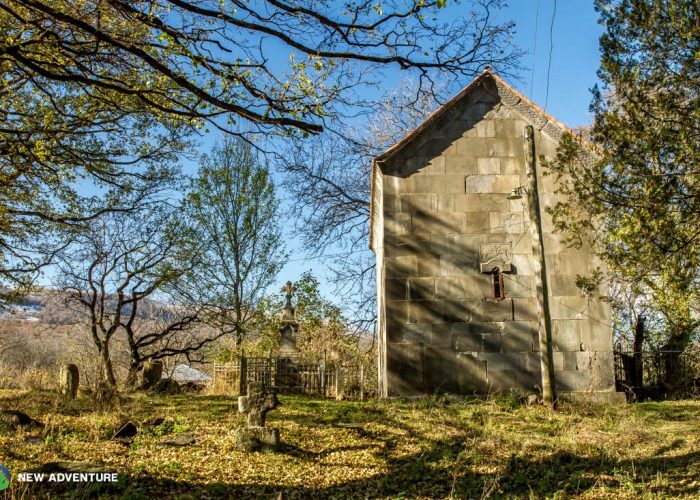 On our way, we visit Neo-gothic, Evangelistic-Lutheran church in the village Trialeti (former Alexandershilf). 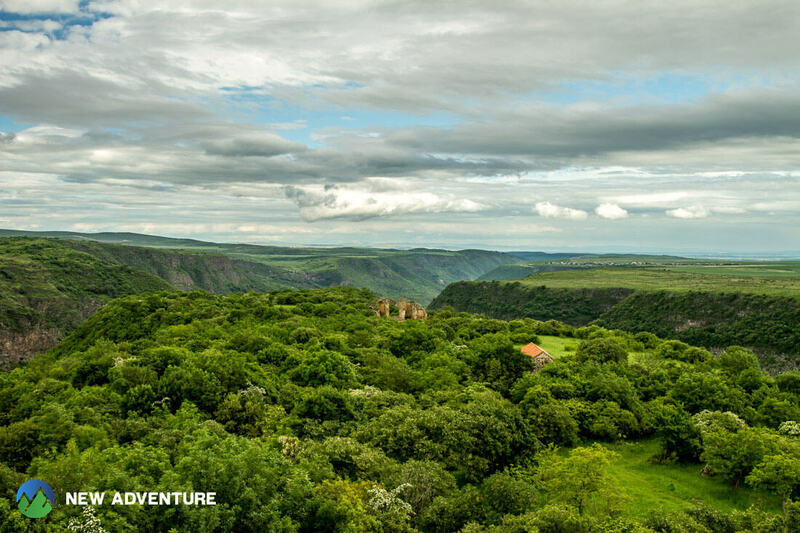 We cross the gorge of the River Khrami, on our way we pass hydro power plant (HPP) of Khramhes, visit Nunnery in the village of Bediani, monastery of Ktsia with menhir and the largest megalithic settlement in the villages Mamulo and Pantiani. 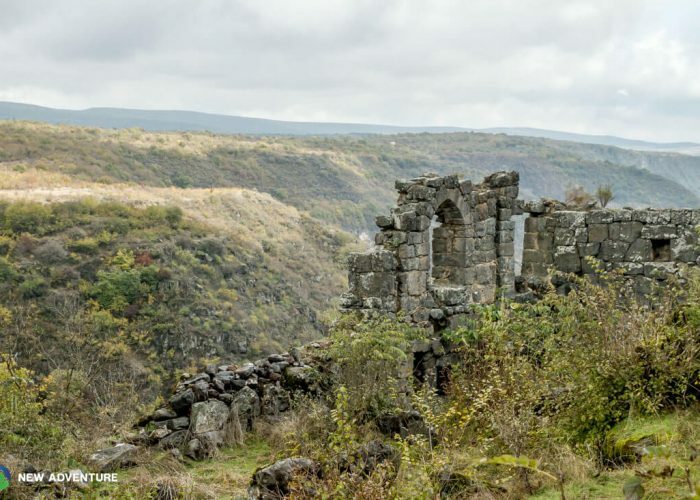 Afterwards, we drive back to Tsalka. 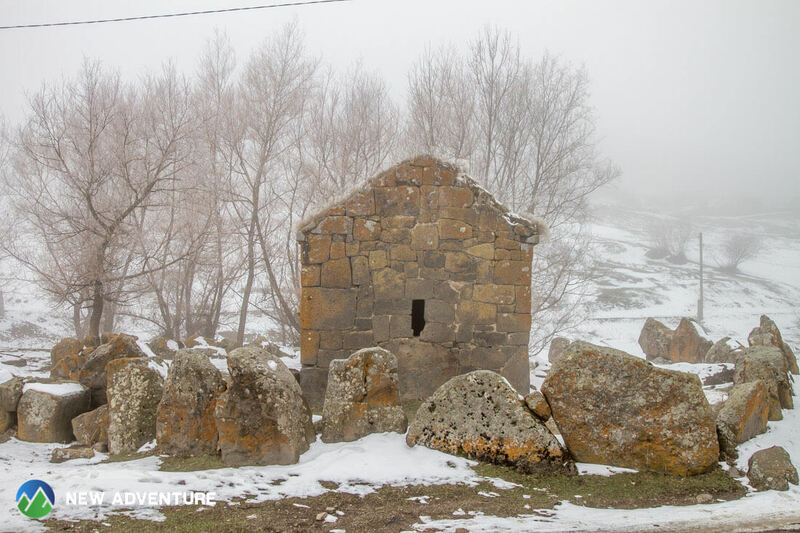 We start the day with driving towards village Tejisi. 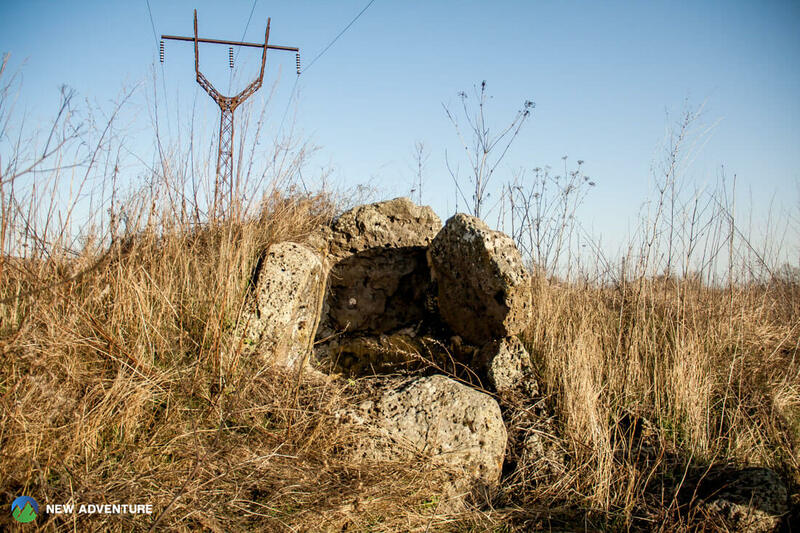 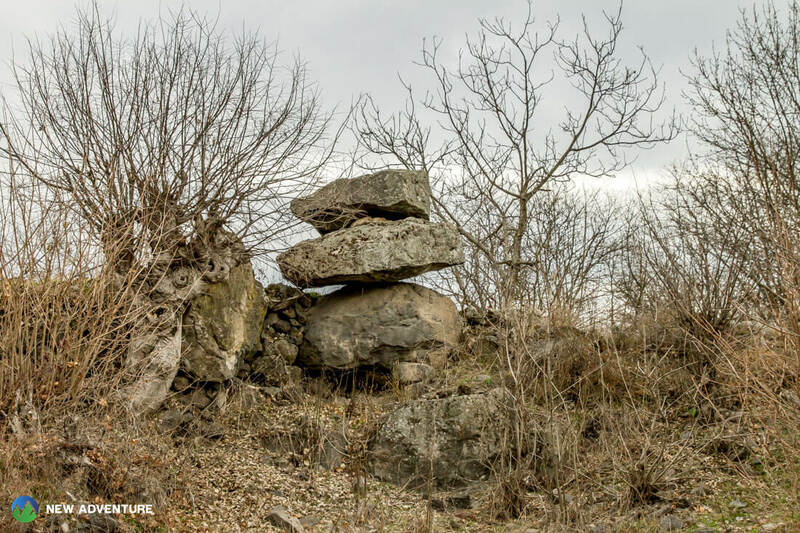 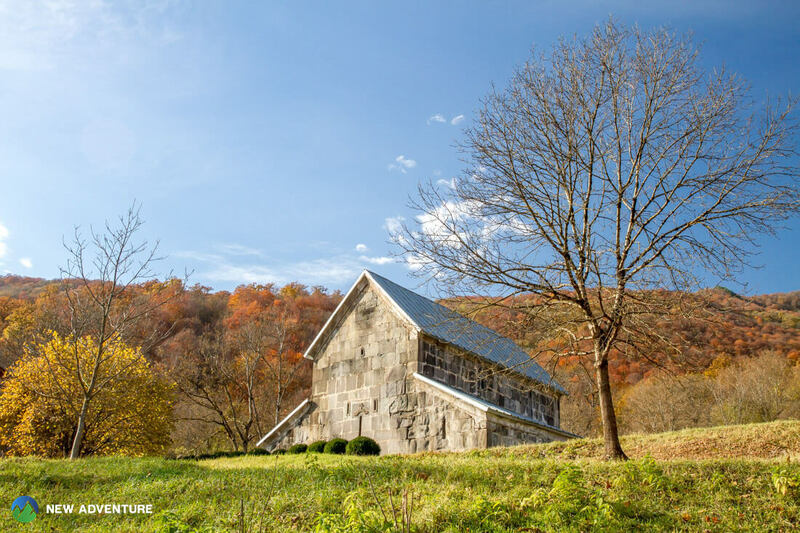 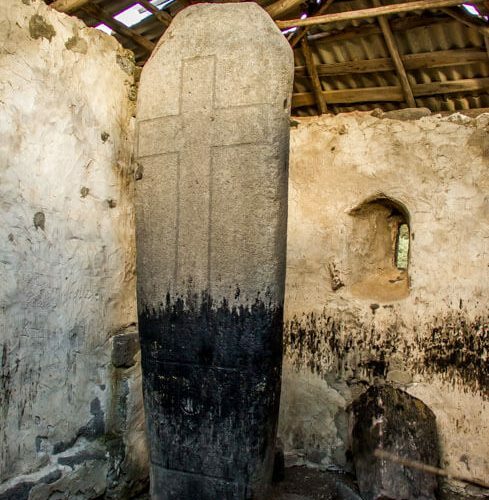 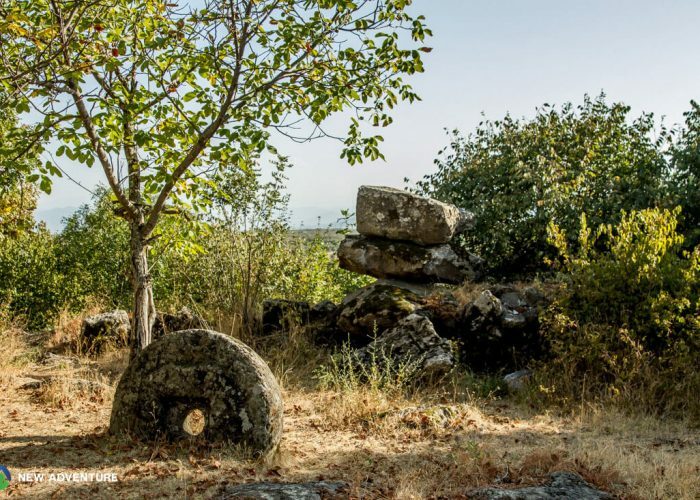 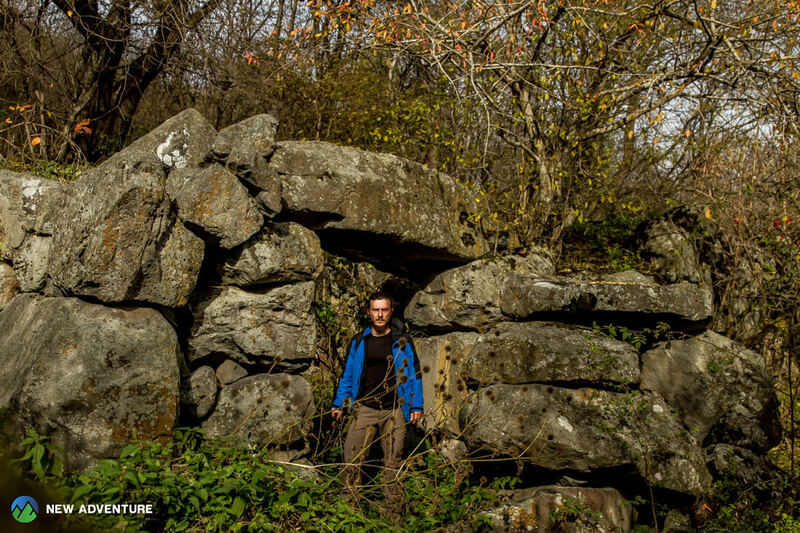 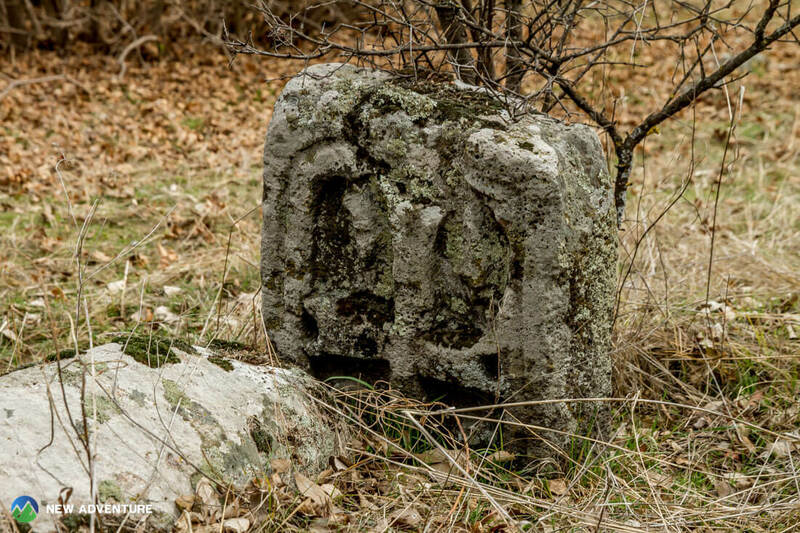 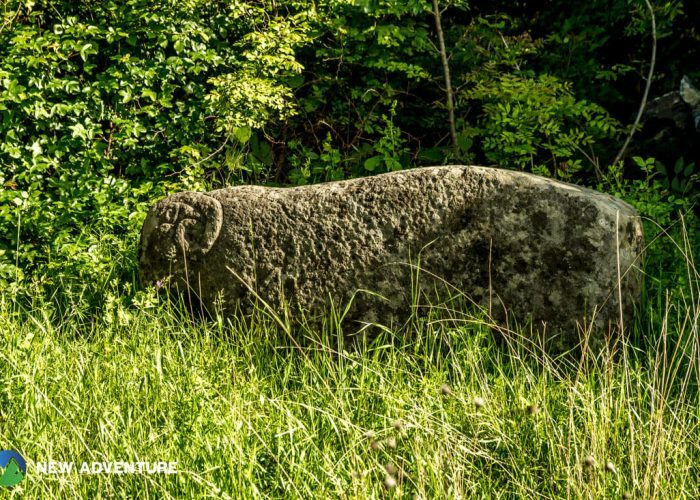 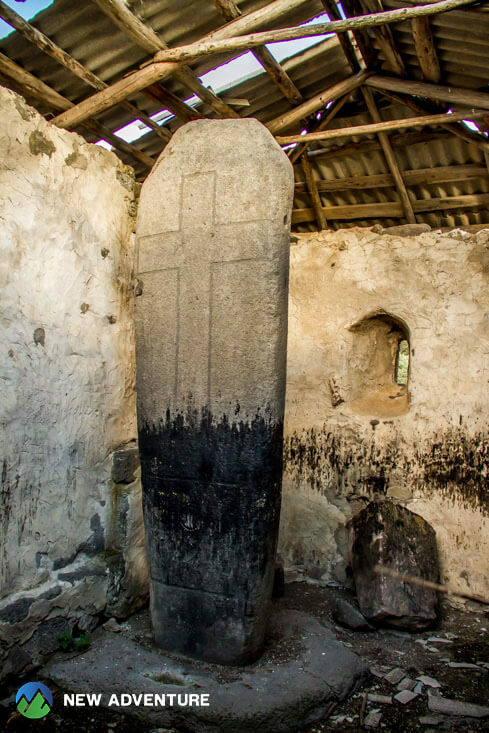 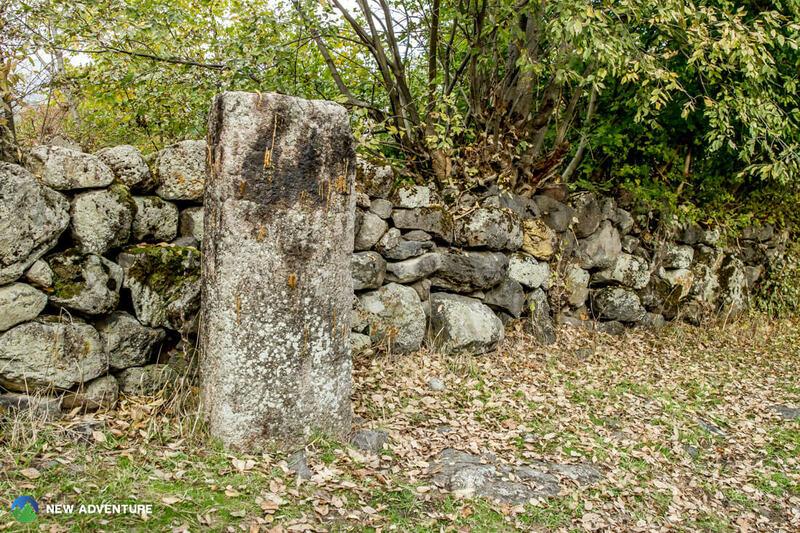 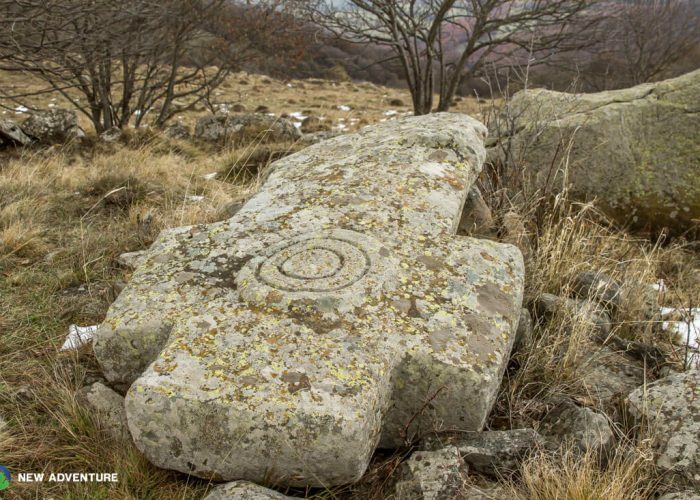 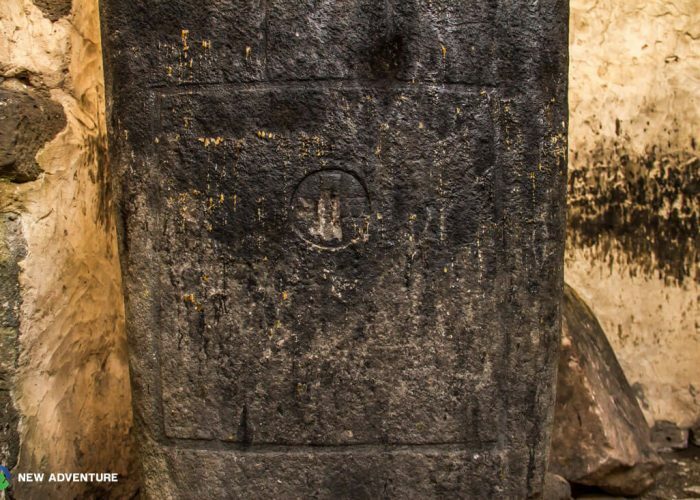 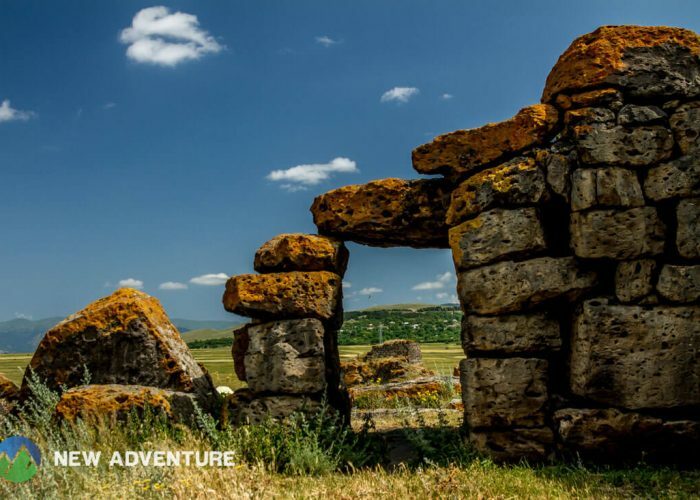 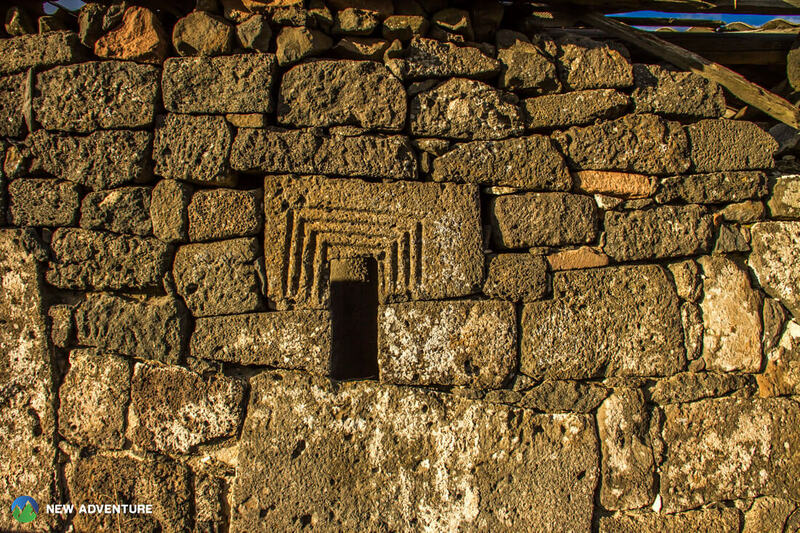 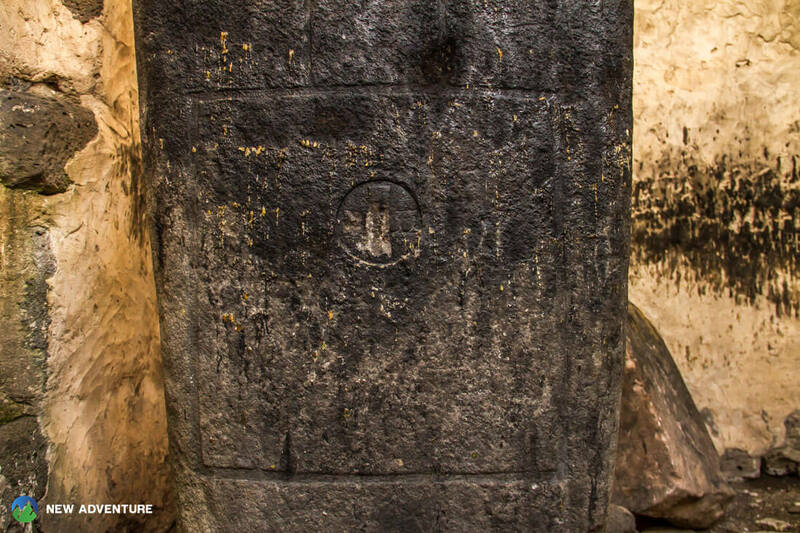 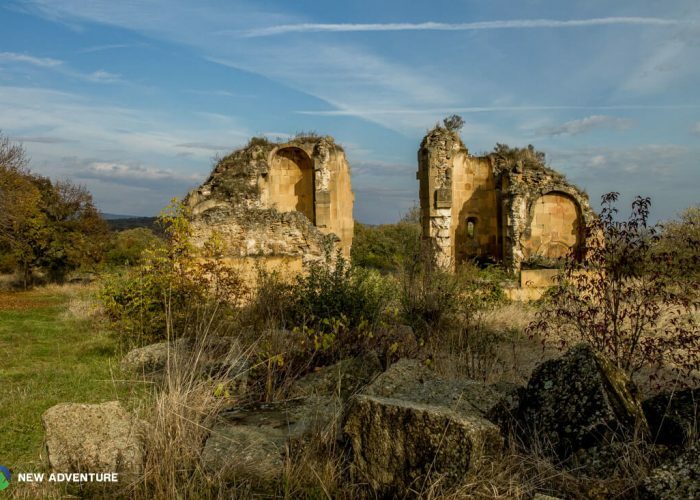 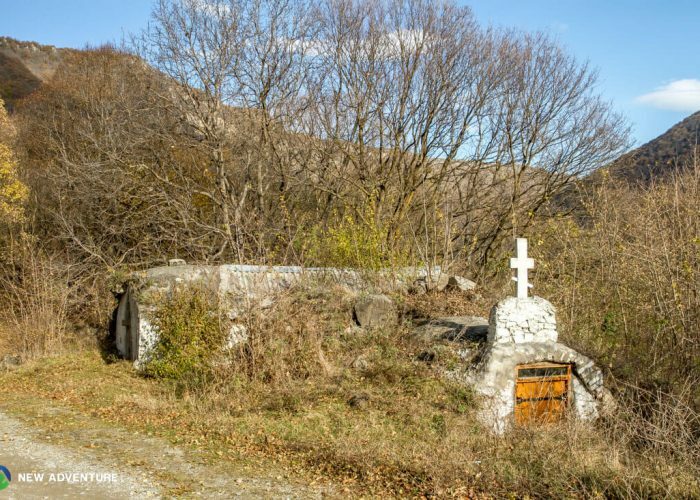 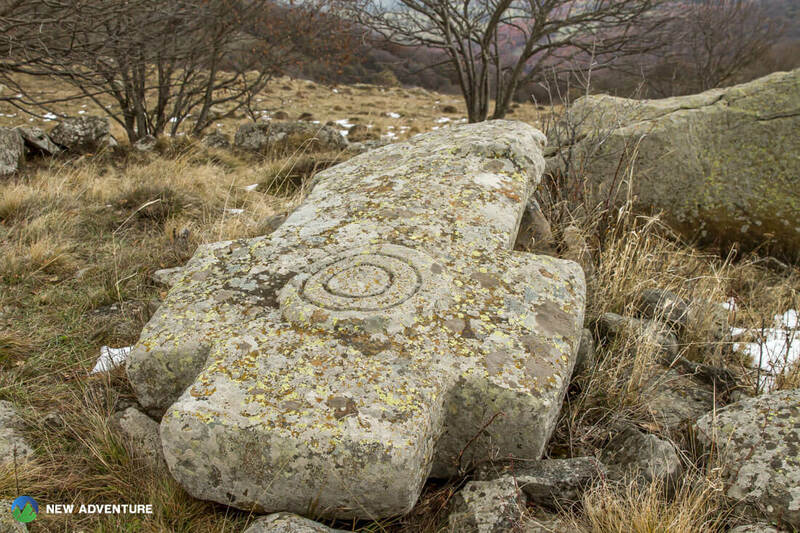 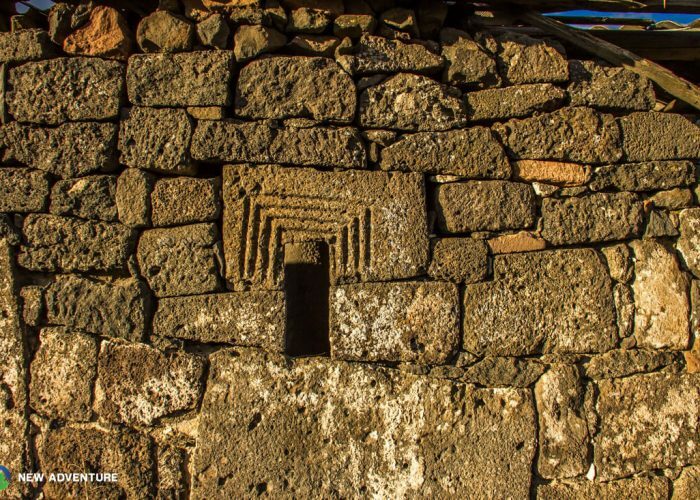 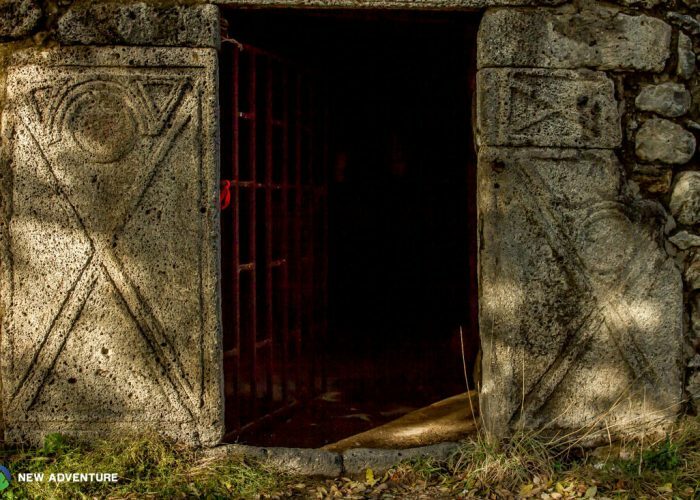 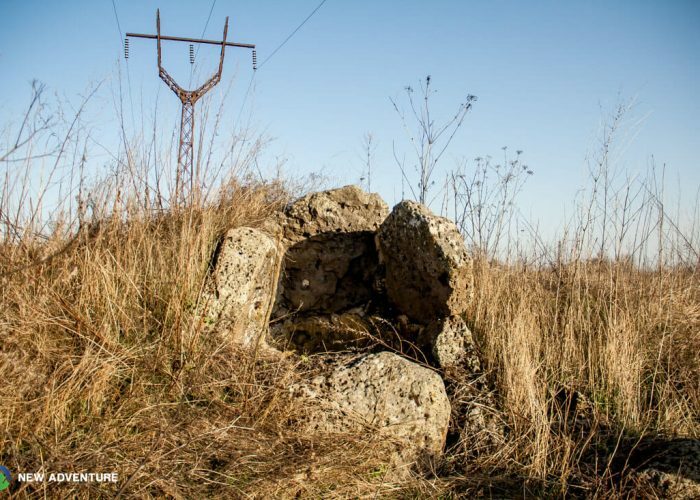 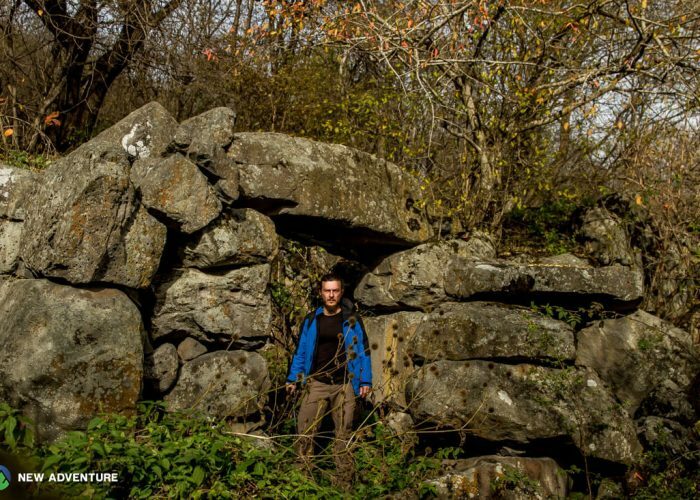 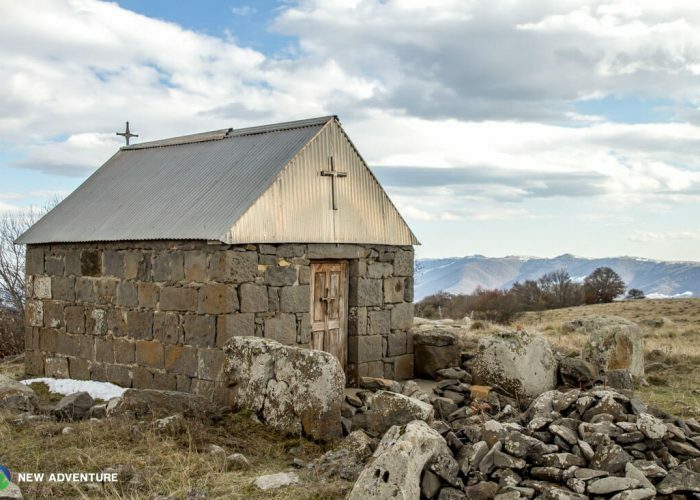 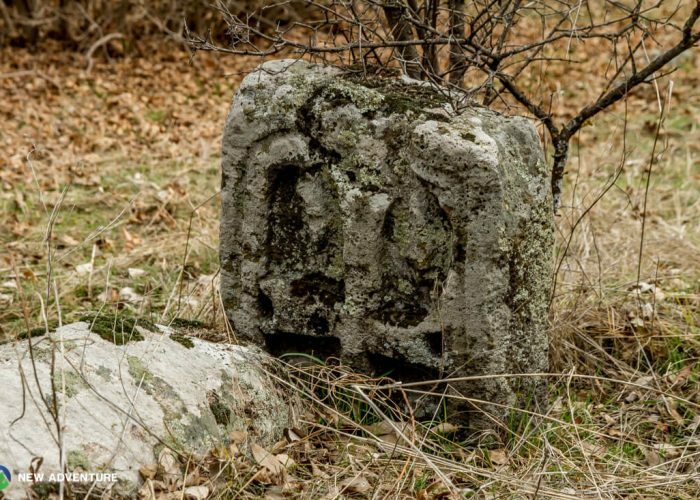 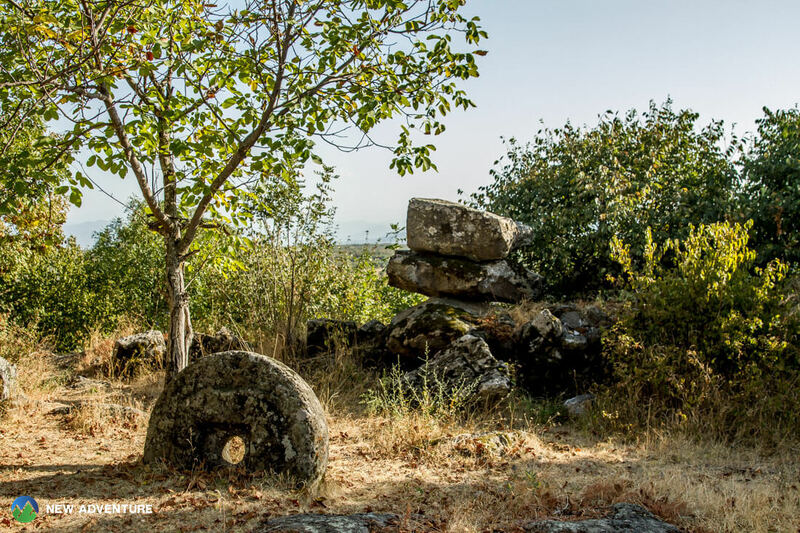 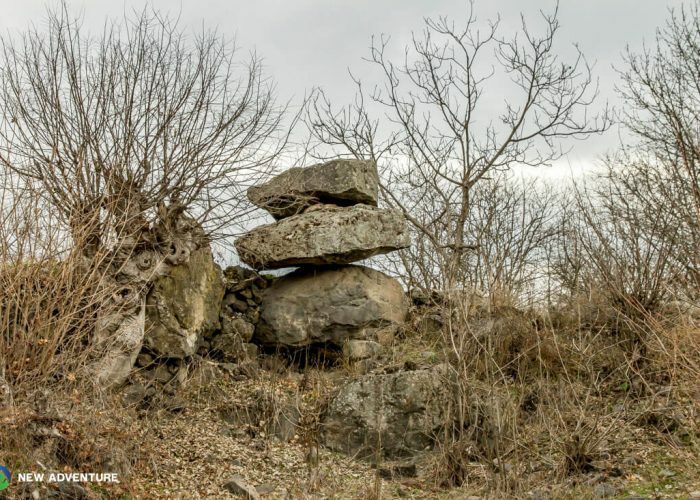 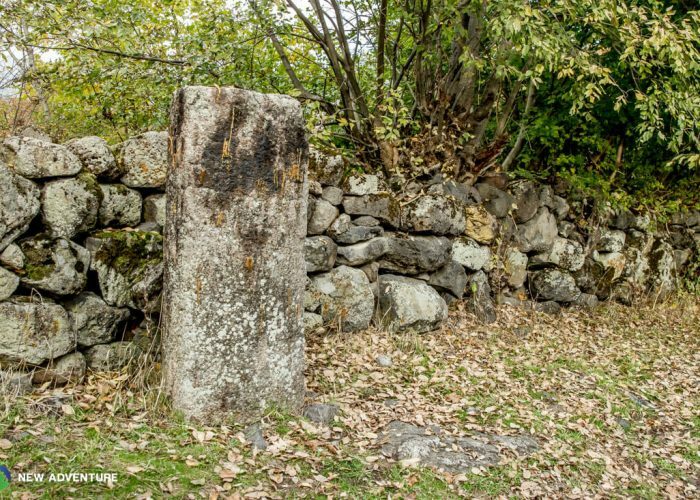 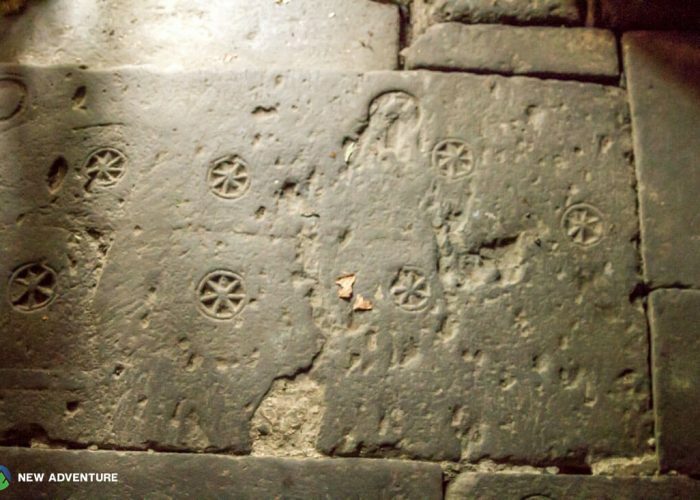 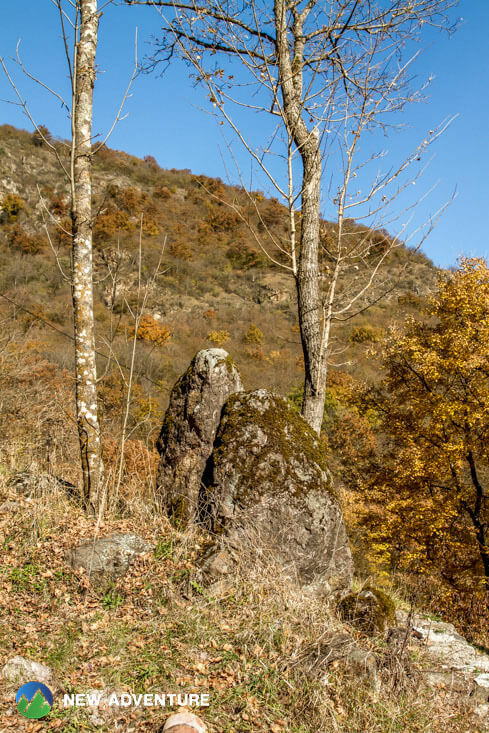 On our way, we visit cyclopean megaliths and the church in Bareti village as well as churches of St. Nikoloz and Aia Constantini in the village Tejisi. Here, around churches we discover megalithic circled stone fence (cromlech) and a huge menhir standing right in the center of Aia Constantine’s church, on which we see a cross, engraved during the christianity period. 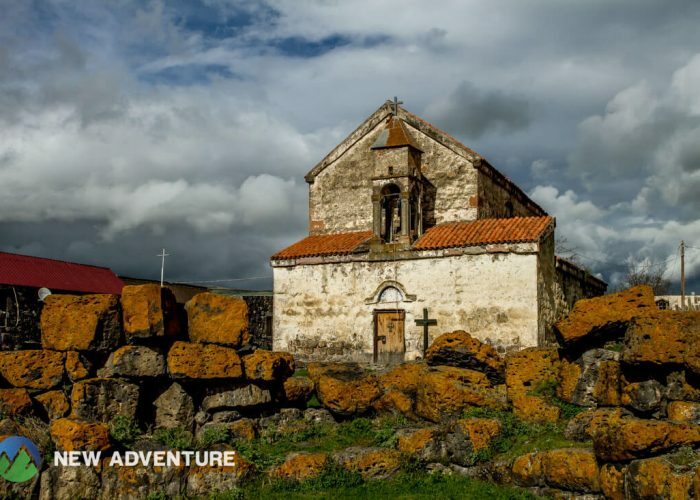 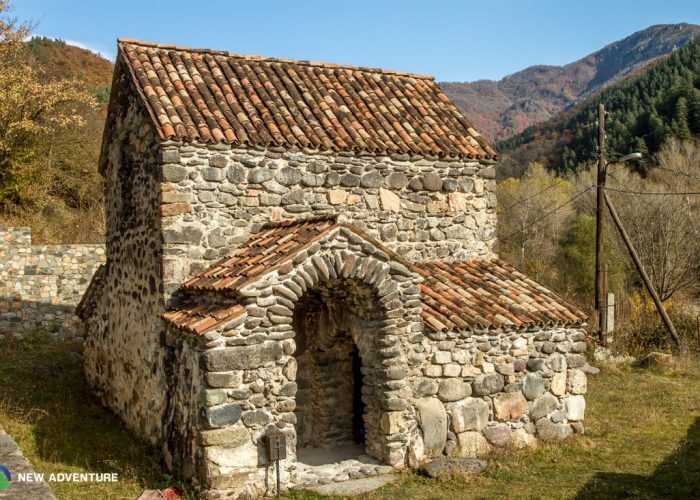 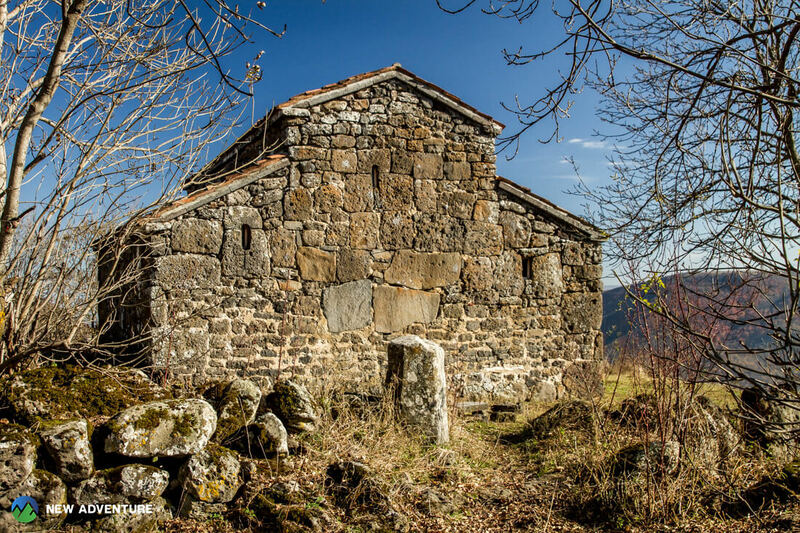 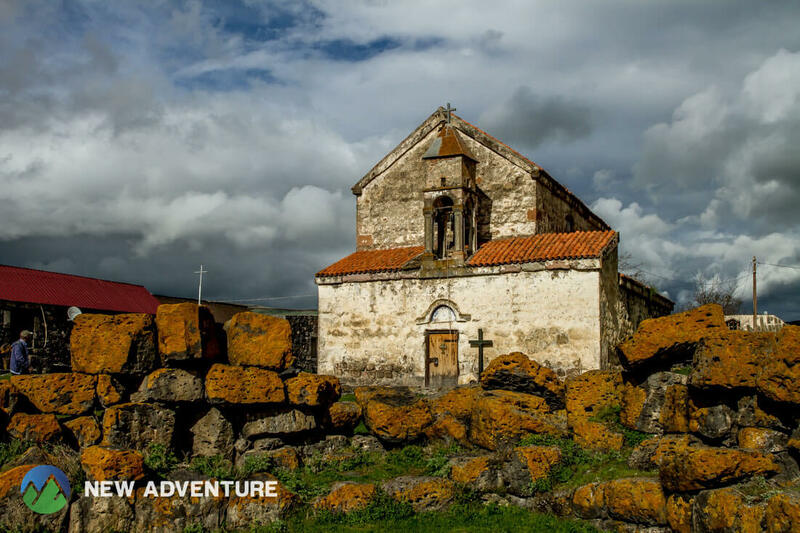 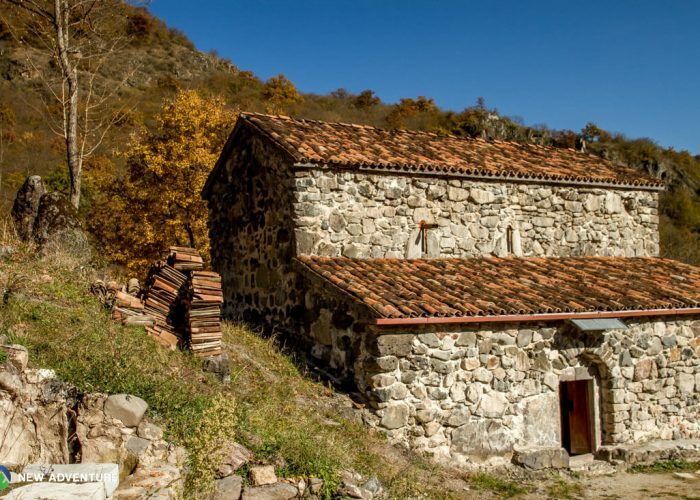 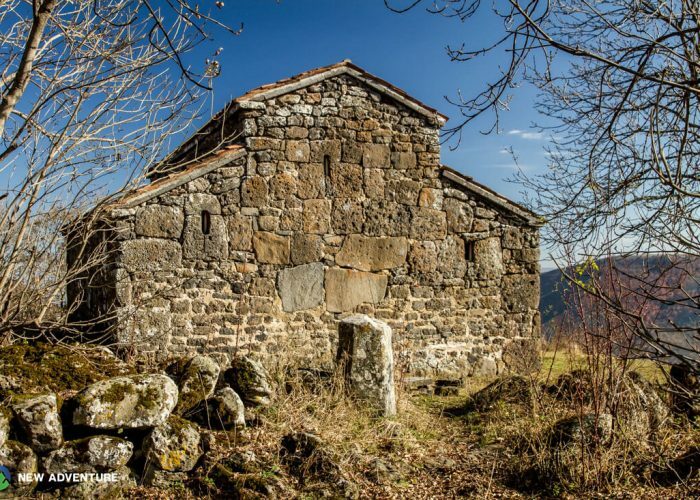 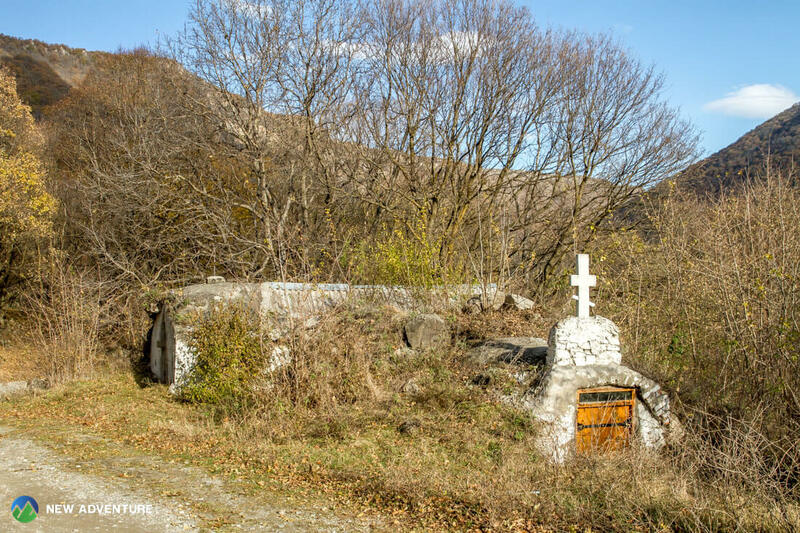 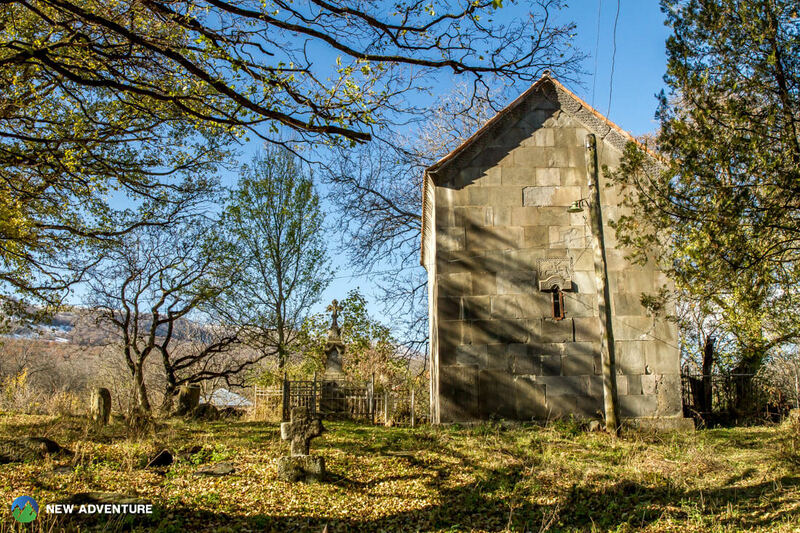 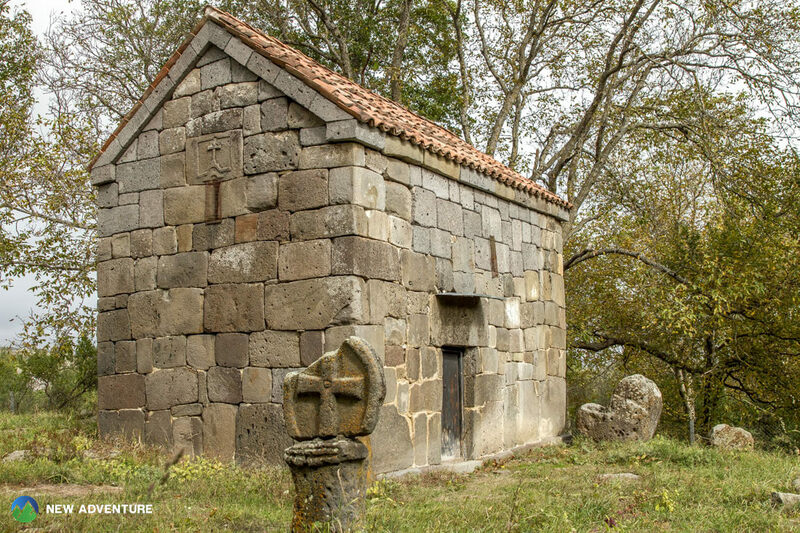 Our journey continues towards the village Avranlo to visit megalithic fortress and church. 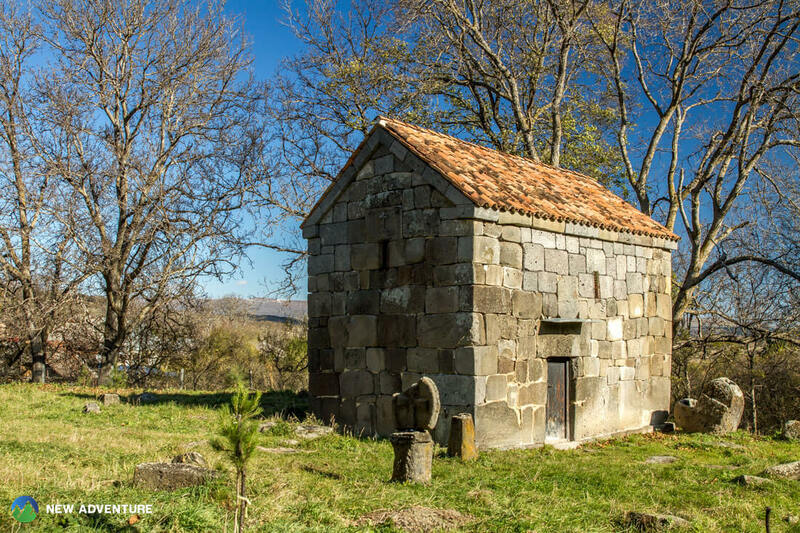 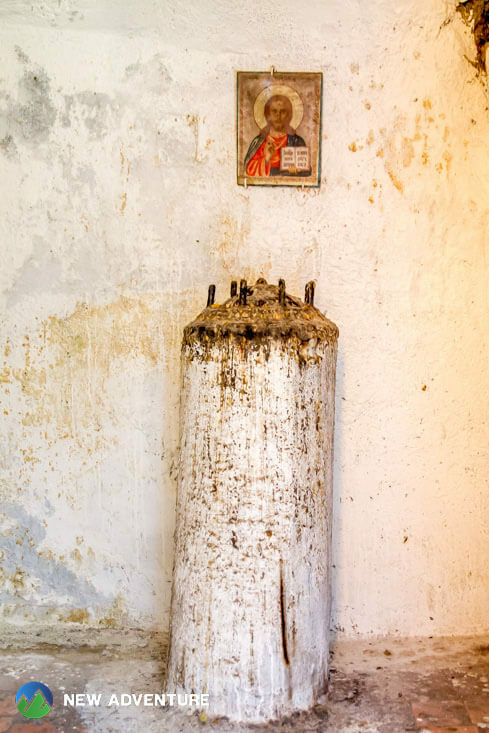 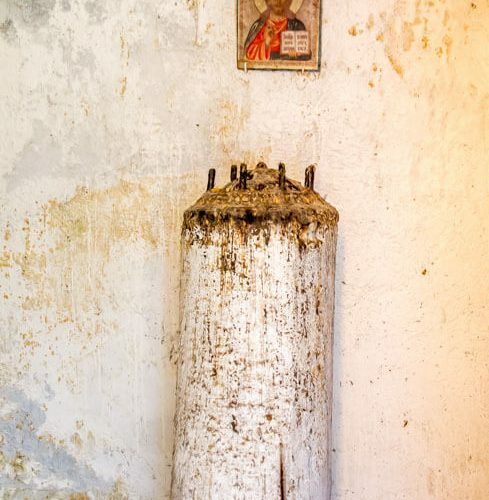 We also visit lavra in the village Berta and spring under the church, with trouts inhabiting. 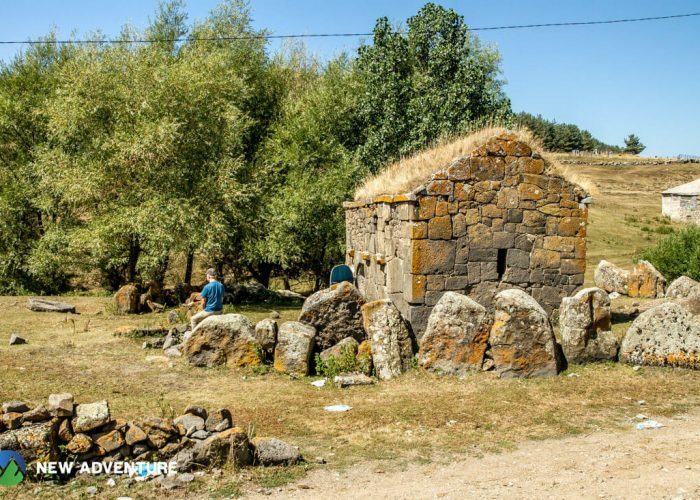 Afterwards, we drive towards the village Nardevani to visit megalithic fortress and Armenian church of St. Sarkis with Georgian ornamented stones. 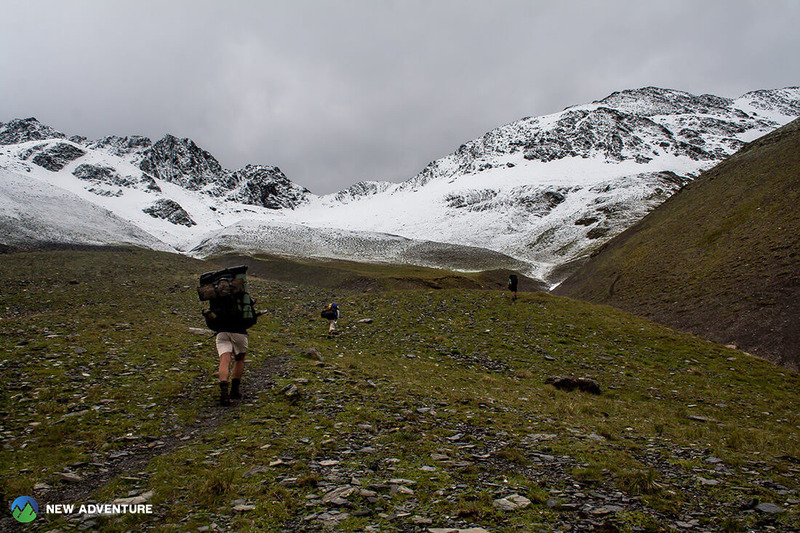 Our journey continues towards Saghamo village via beautiful Paravani pass. 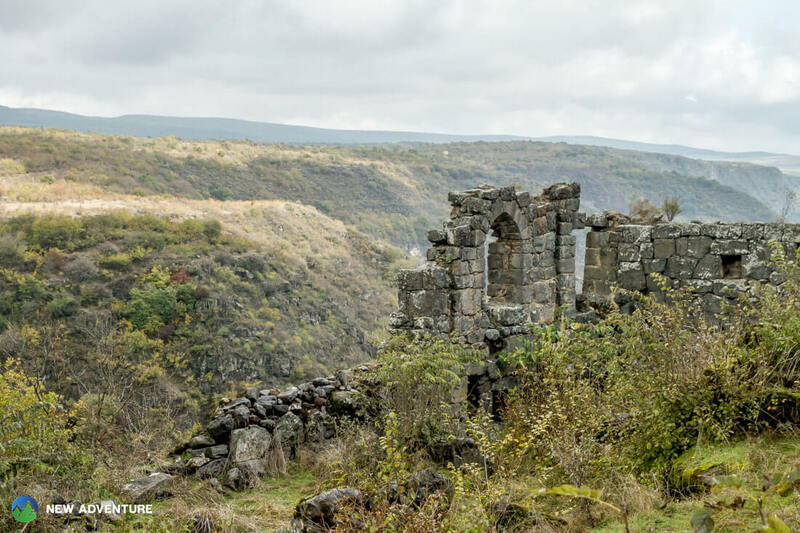 The fifth day of our trip starts with driving towards the village of Tambovka. 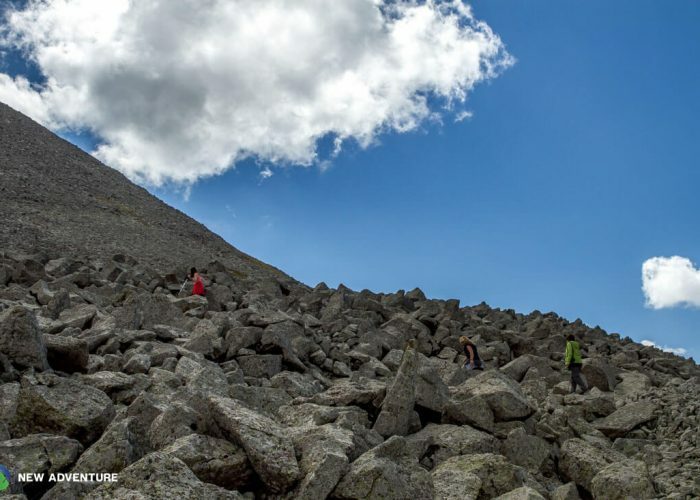 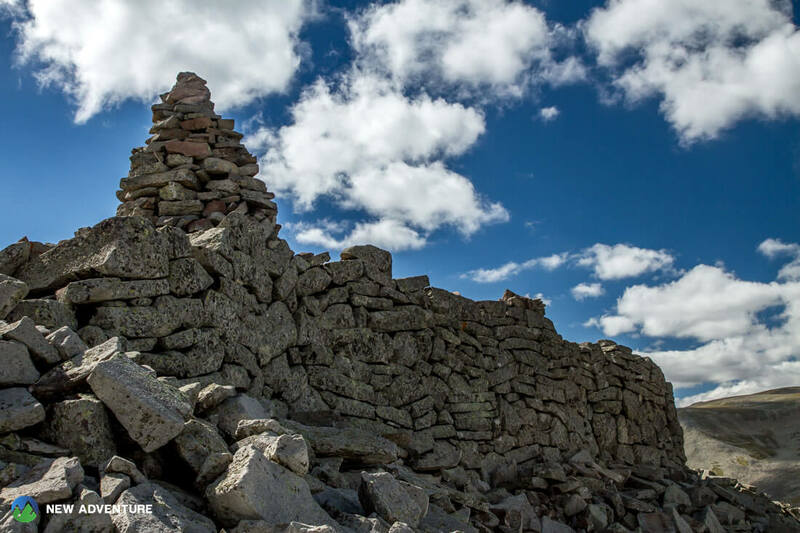 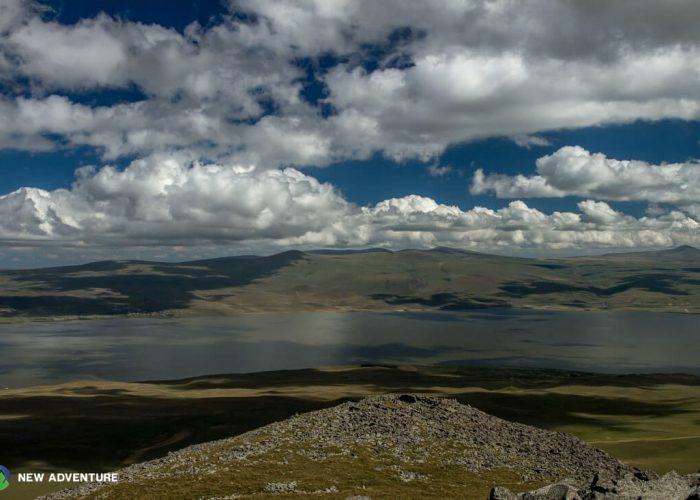 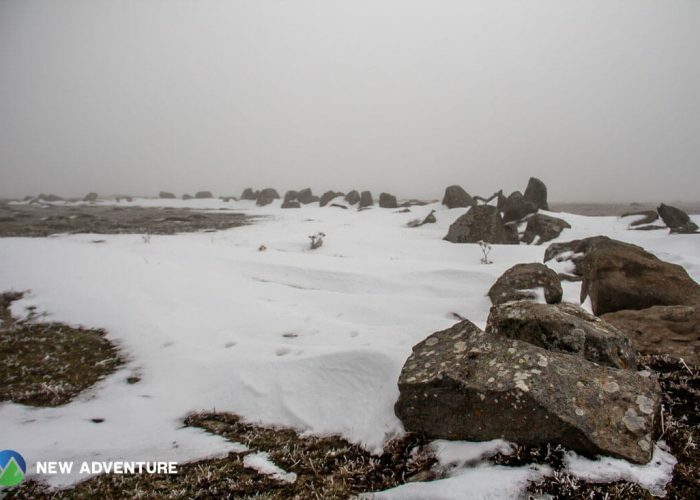 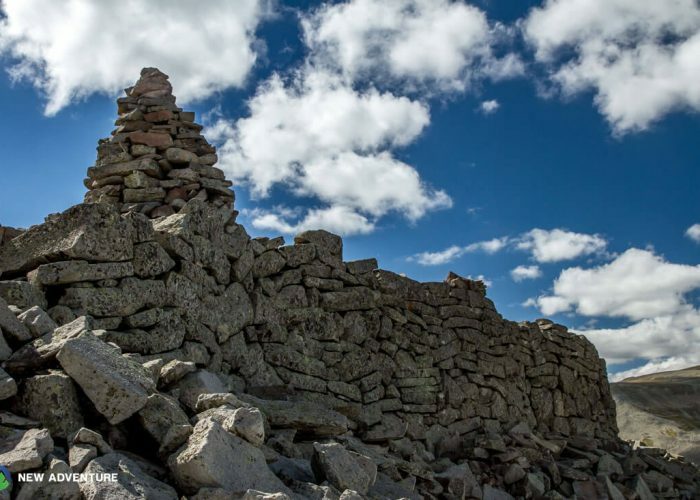 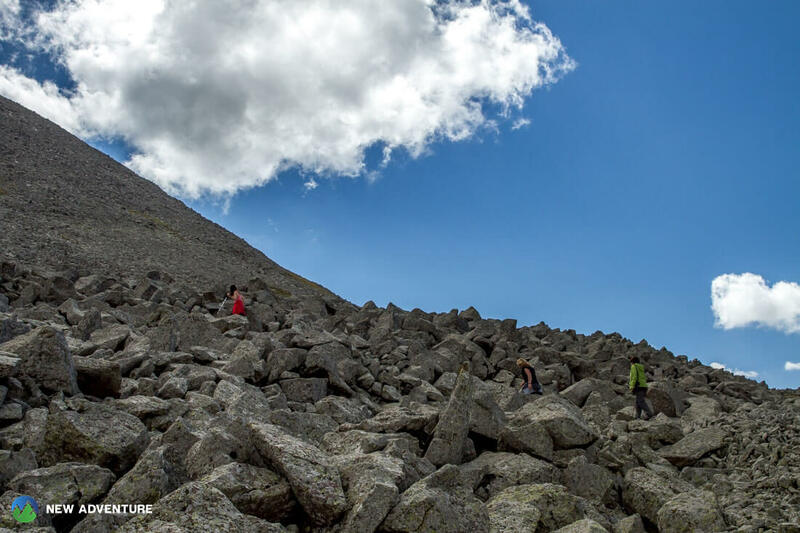 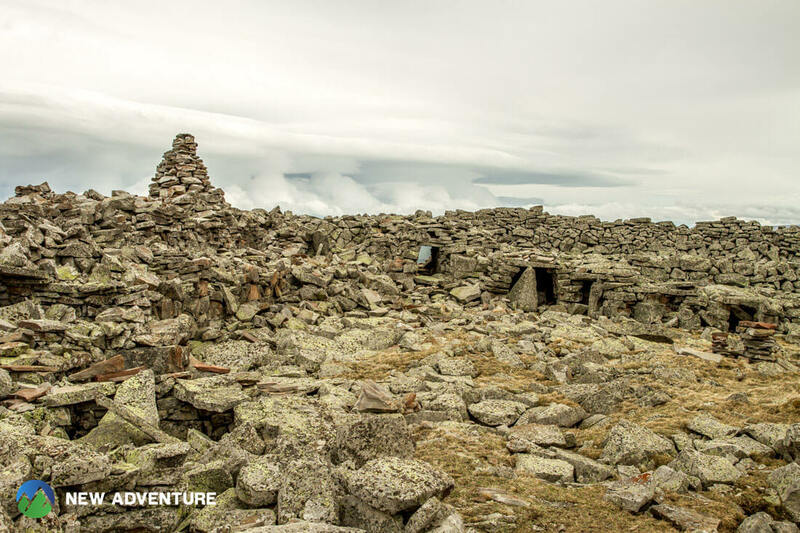 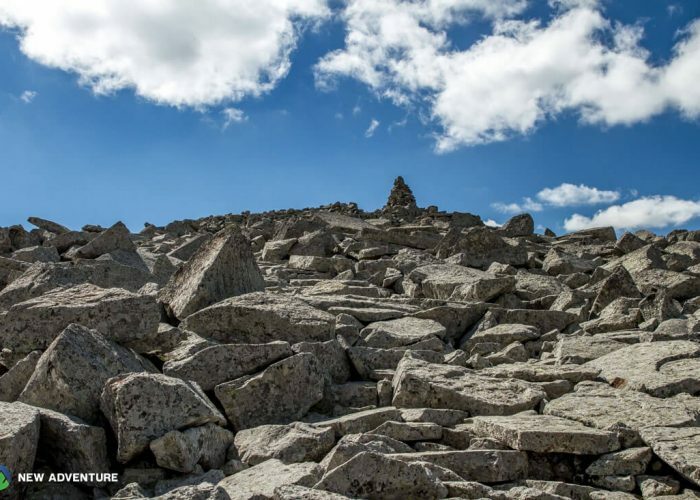 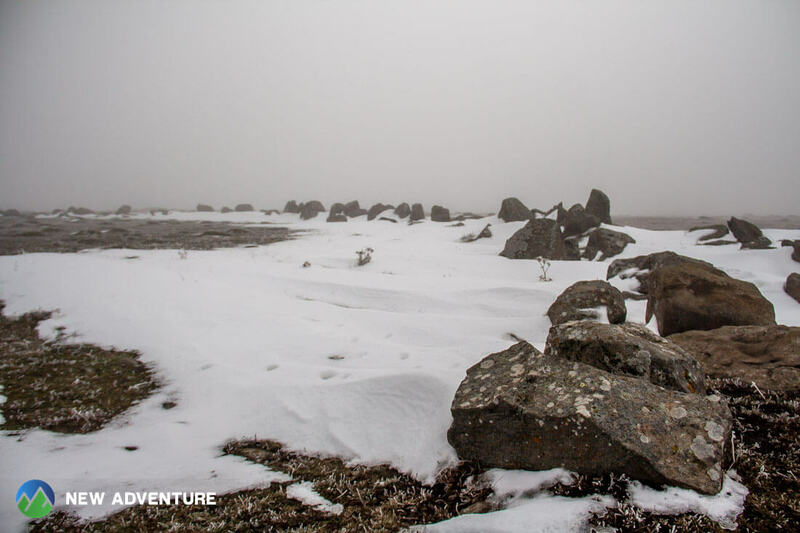 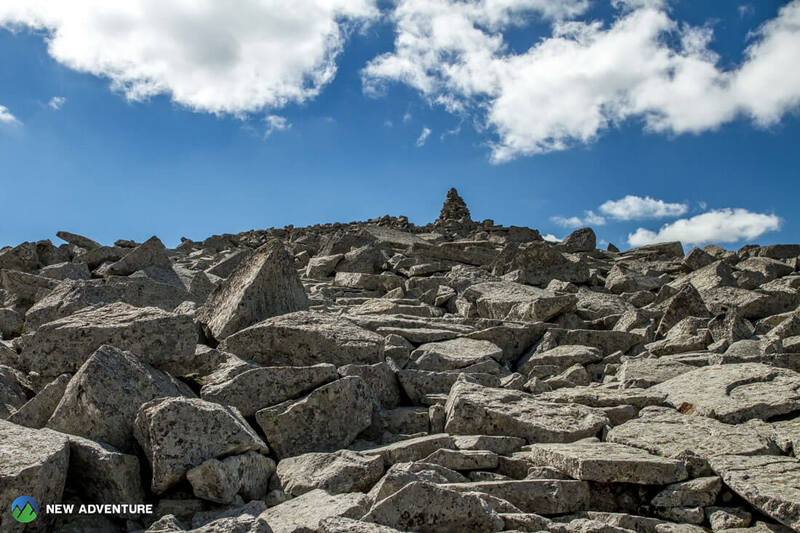 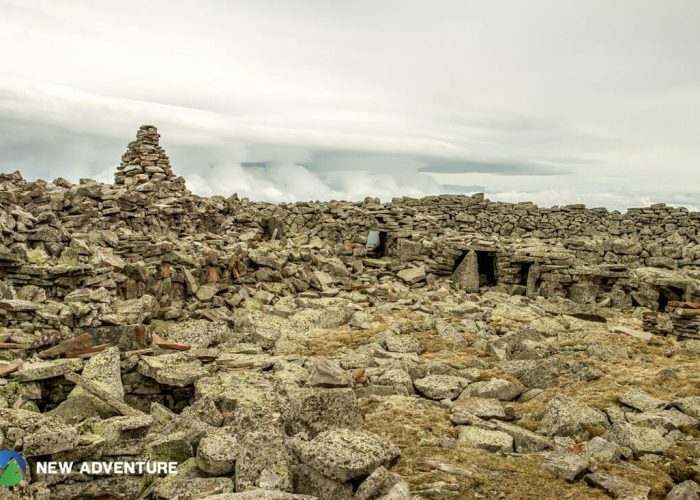 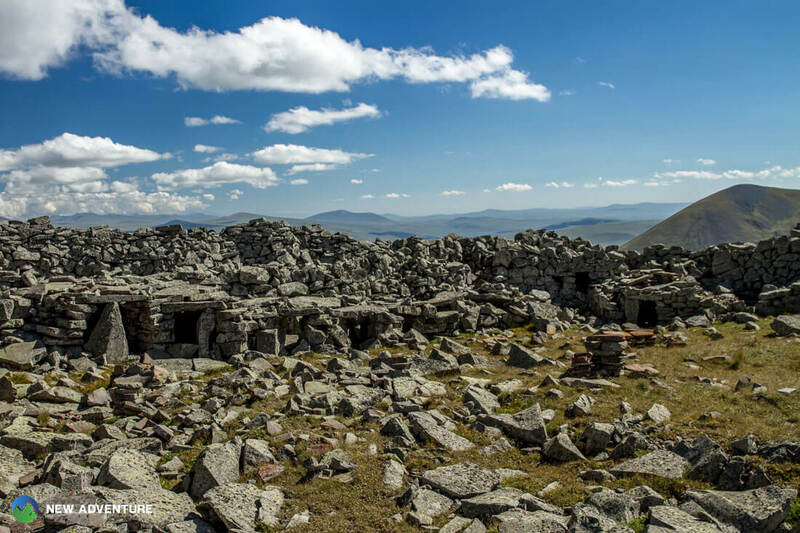 After reaching mount Shaori, we start hiking towards the peak (2757 m), where megalithic fortress is located. 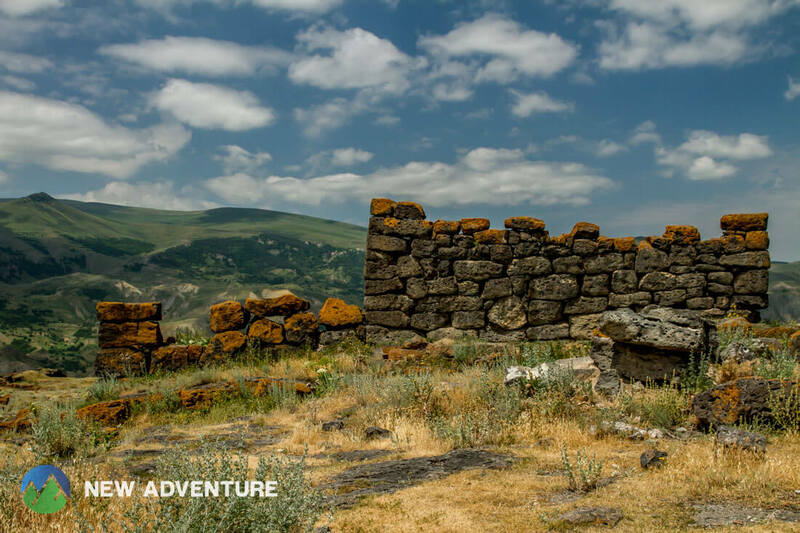 After about three hours of hiking, we continue our journey with driving towards mount Patara Abuli and megalithic fortress (2670 m). 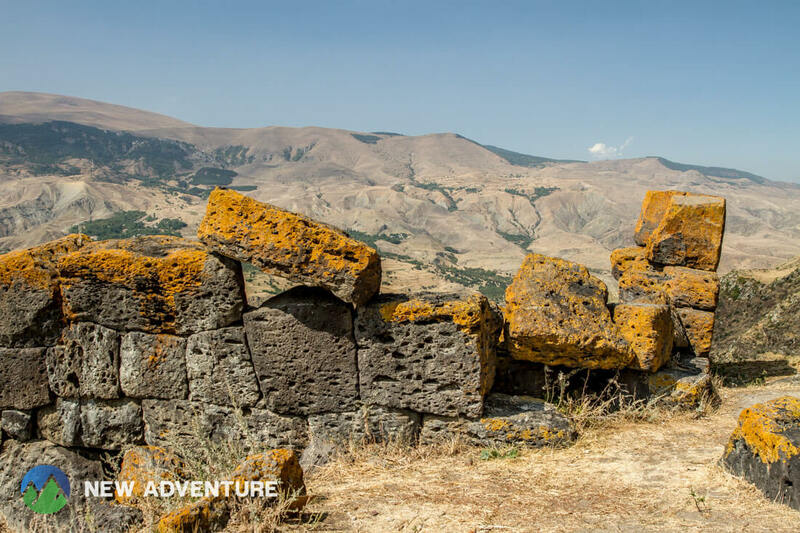 After exploring the places (two hours of hiking), we drive back to Saghamo village. 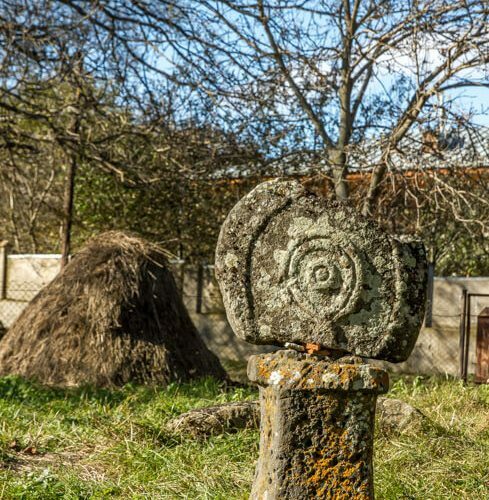 On our way, we stop in Phoka village to visit lavra and nunnery. 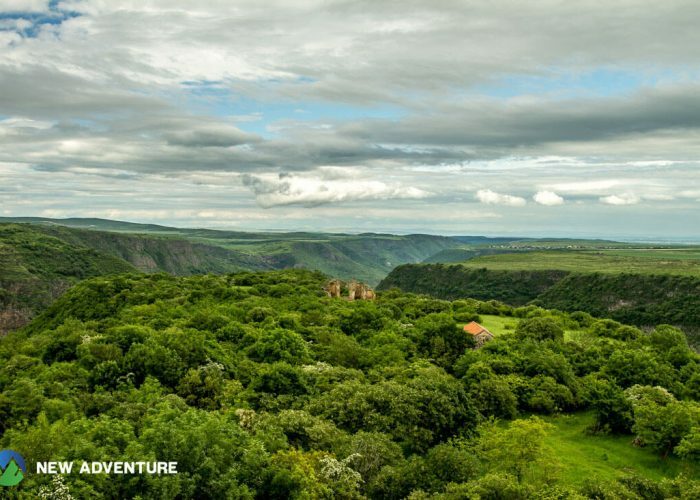 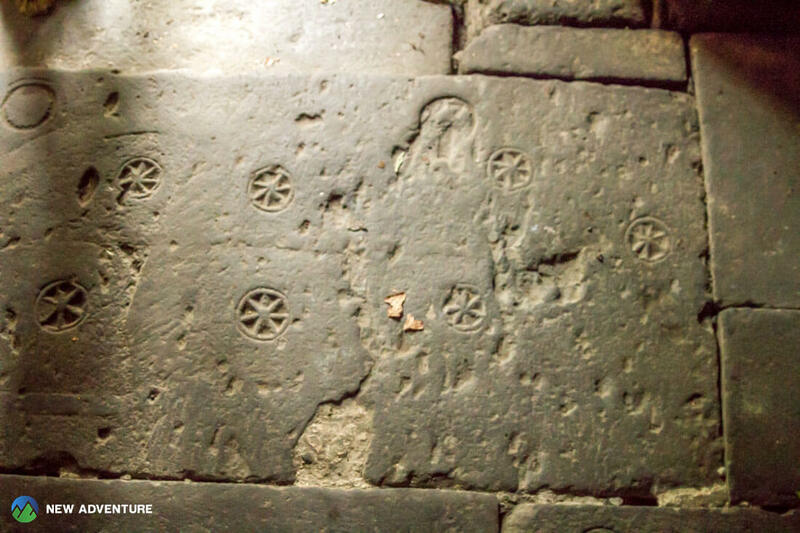 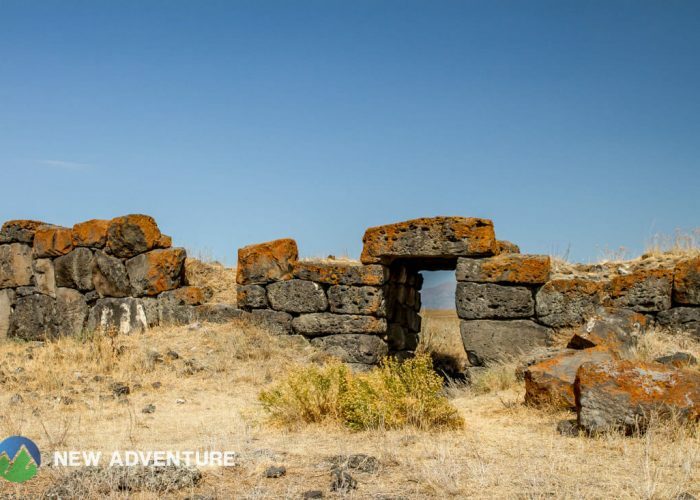 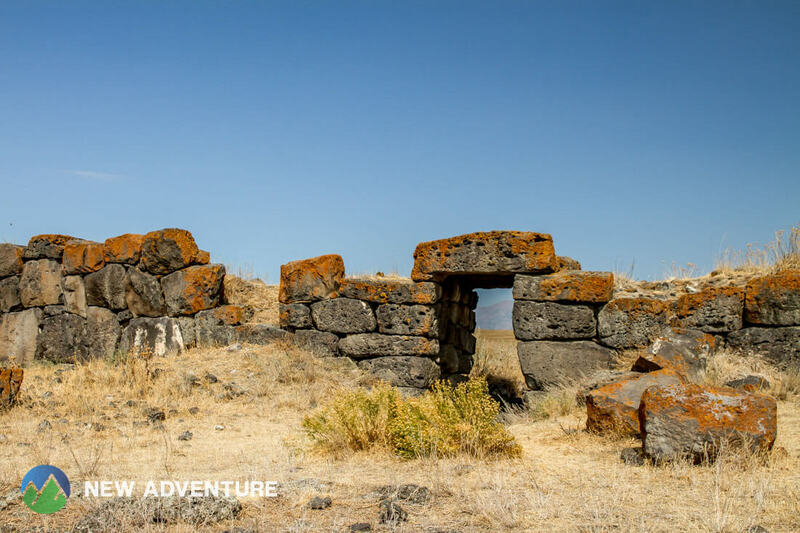 Today we take a route towards the cave city called Vardzia. 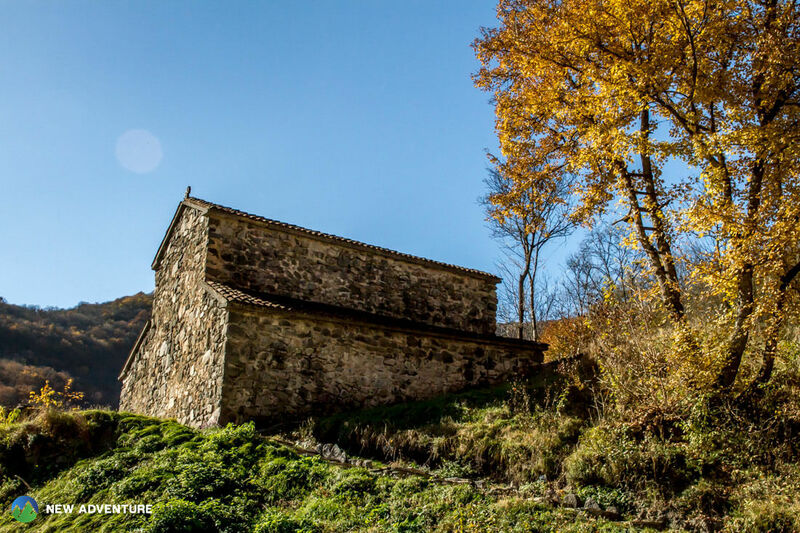 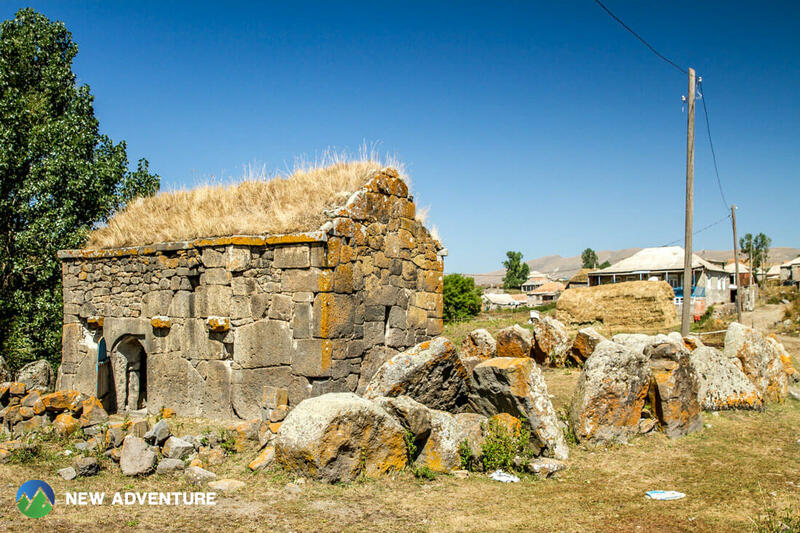 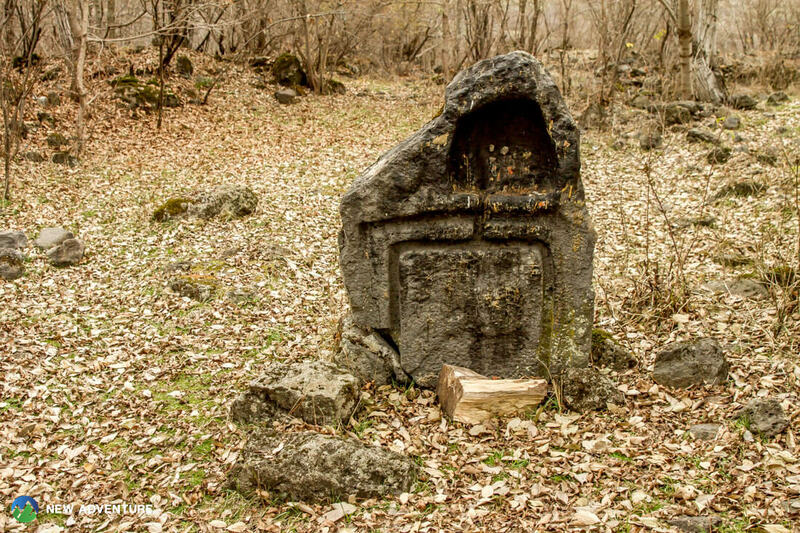 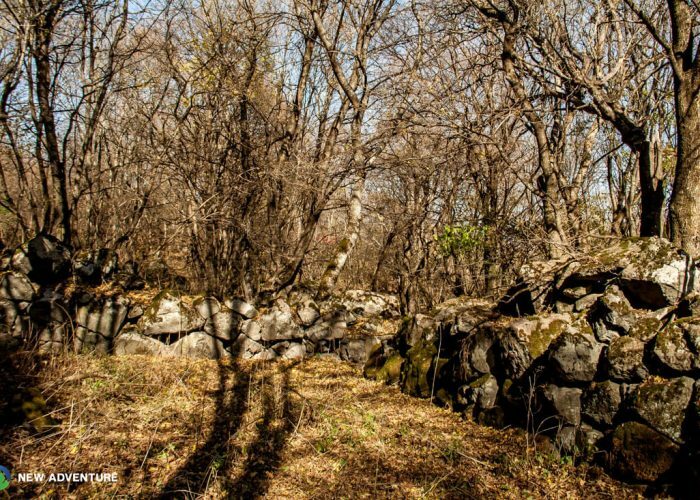 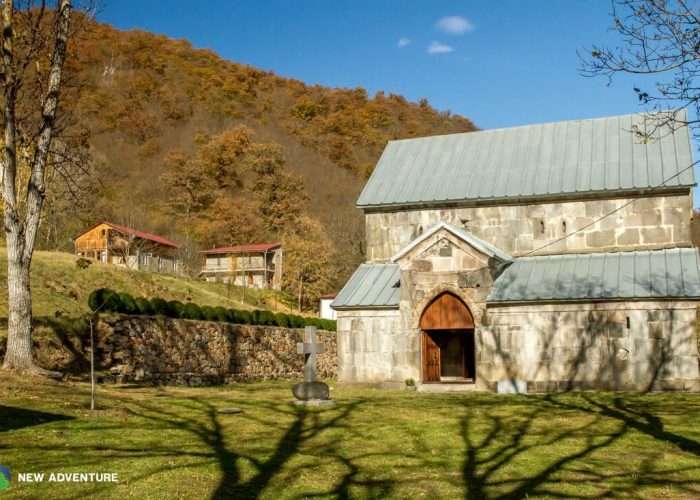 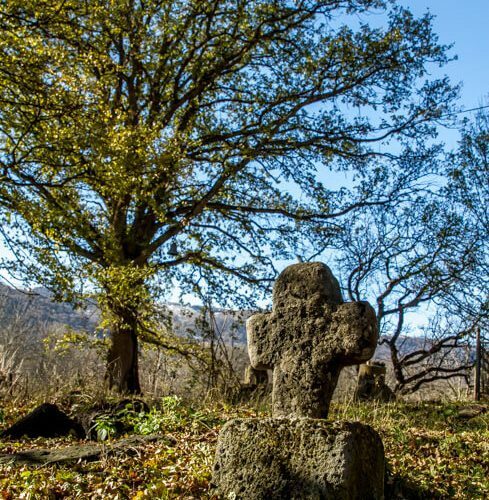 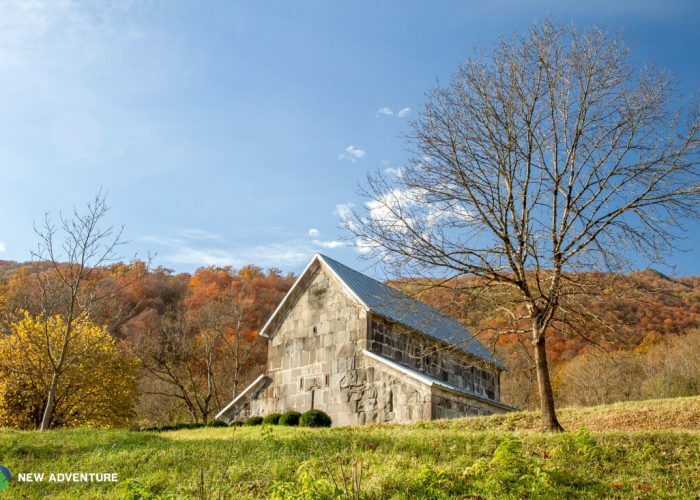 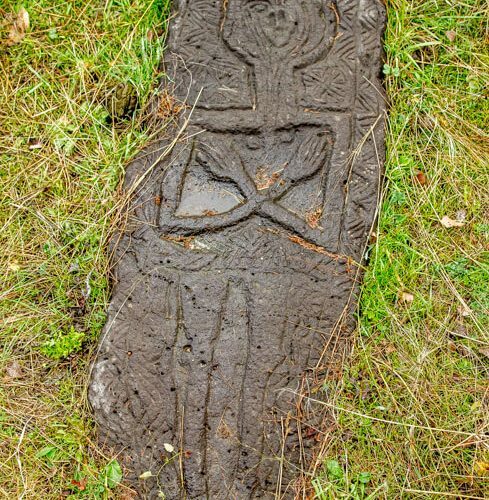 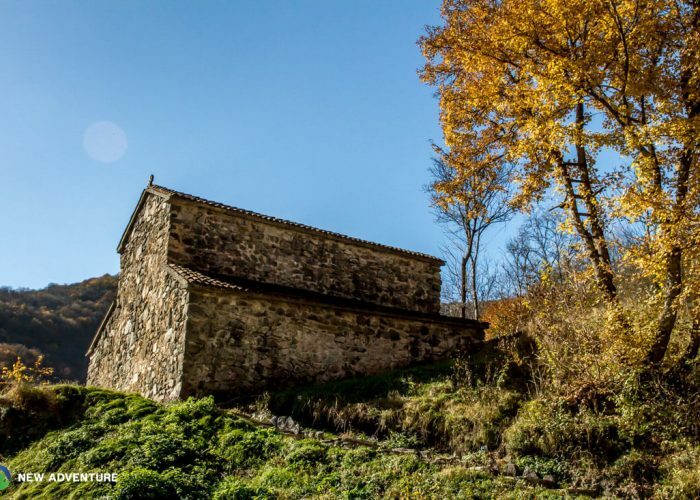 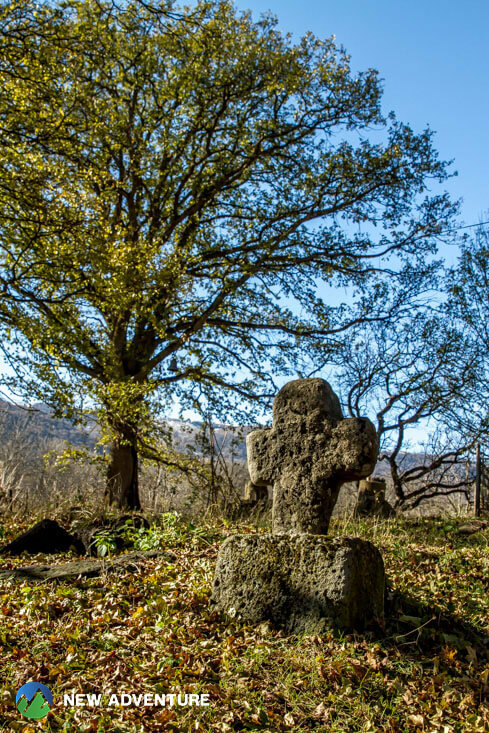 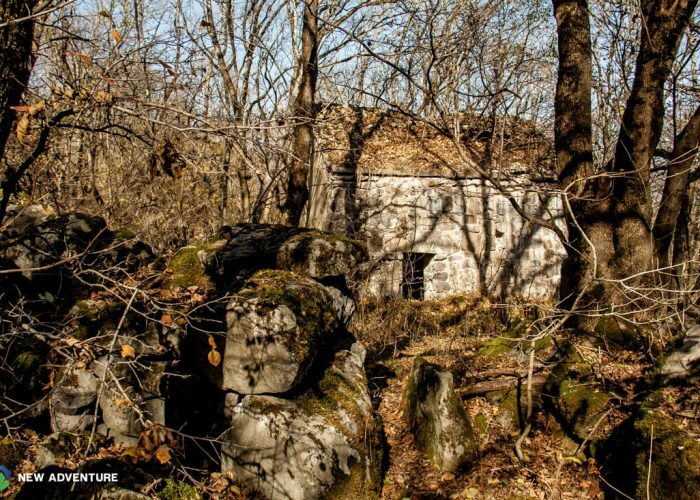 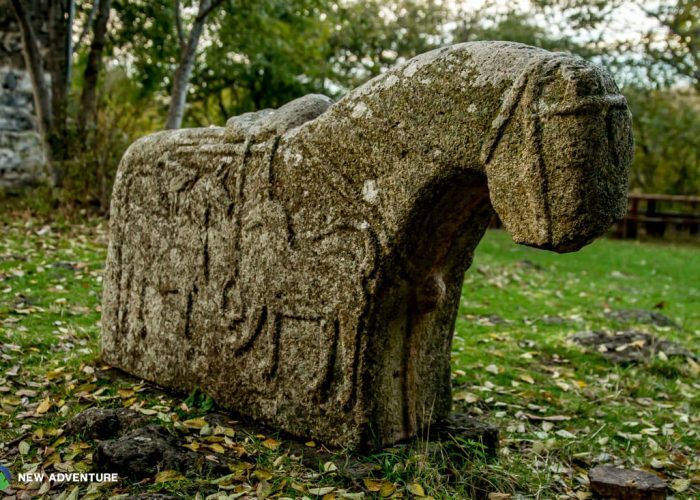 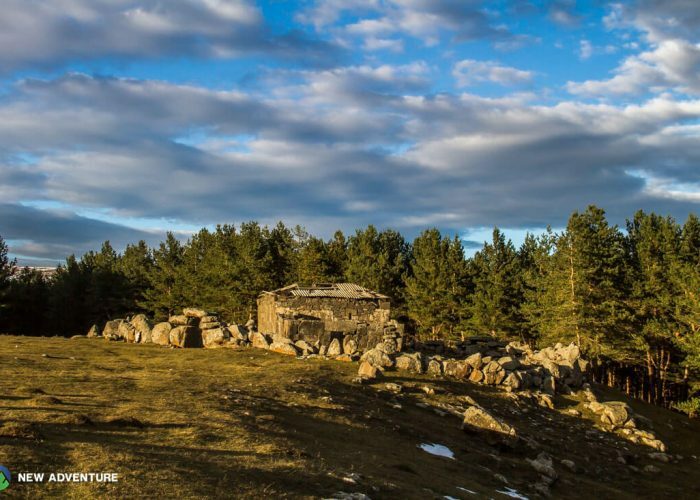 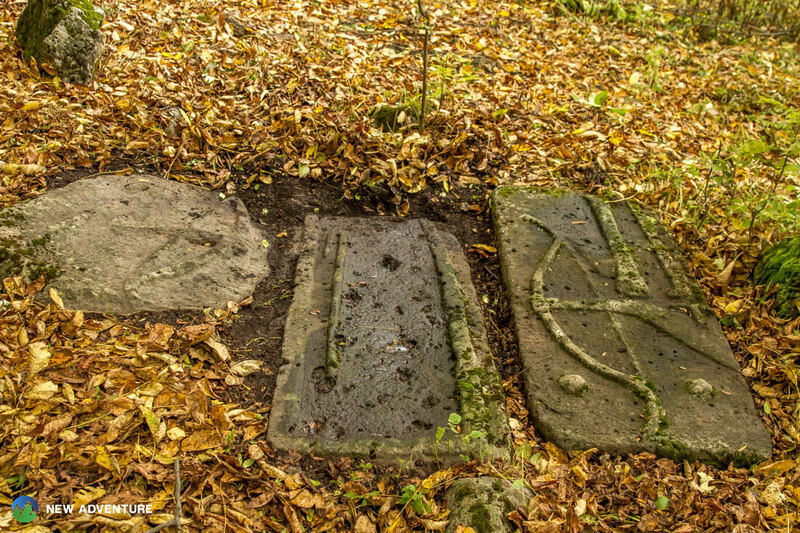 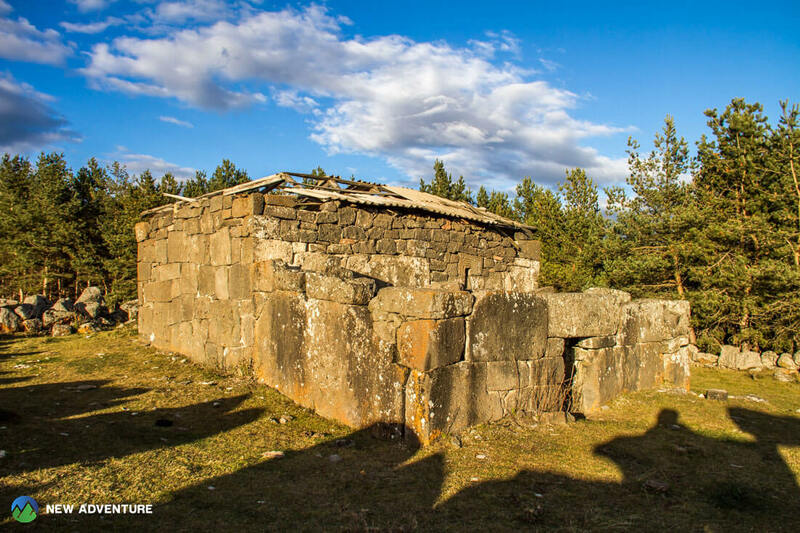 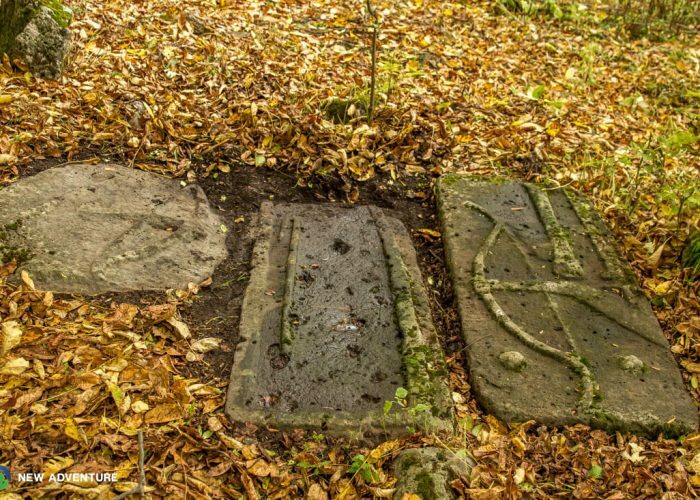 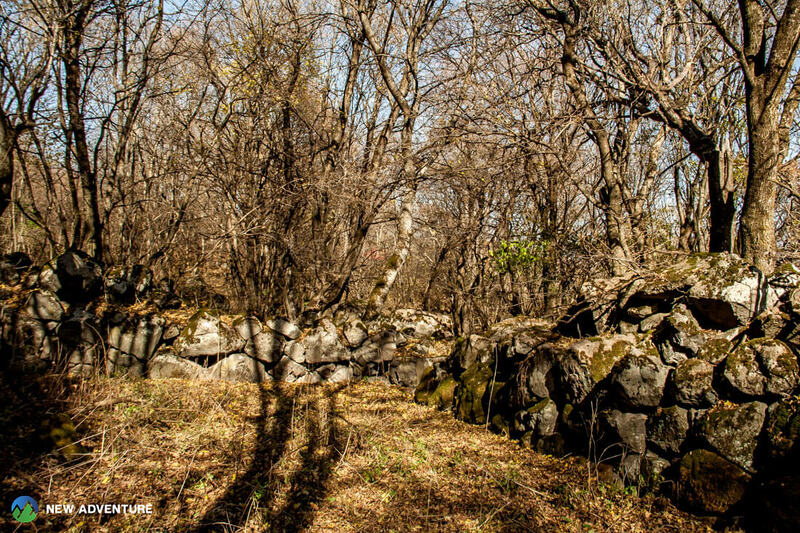 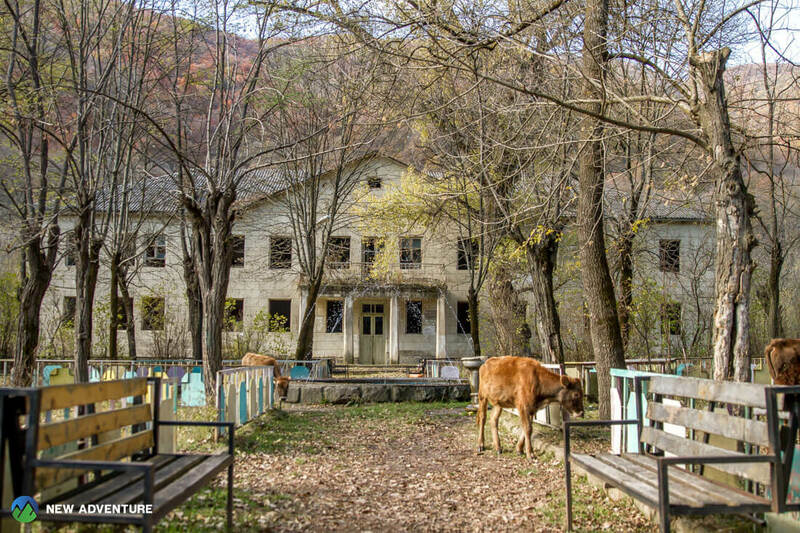 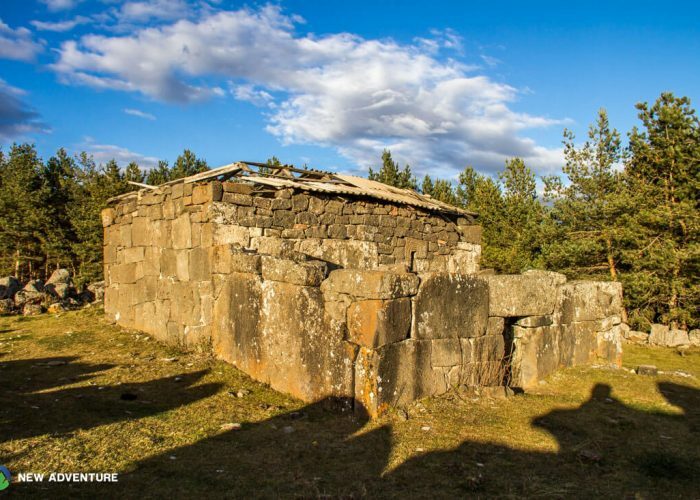 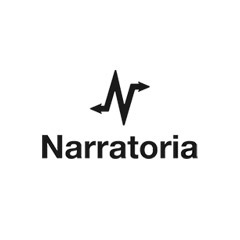 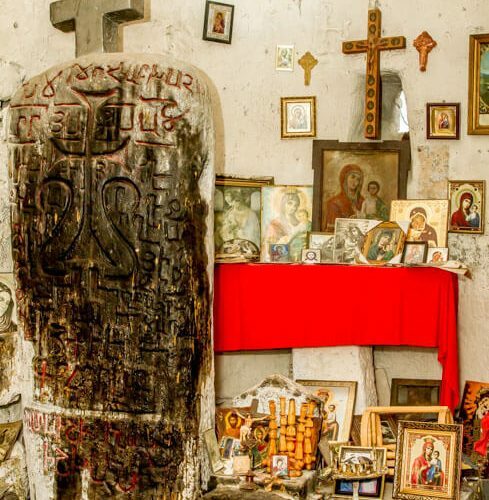 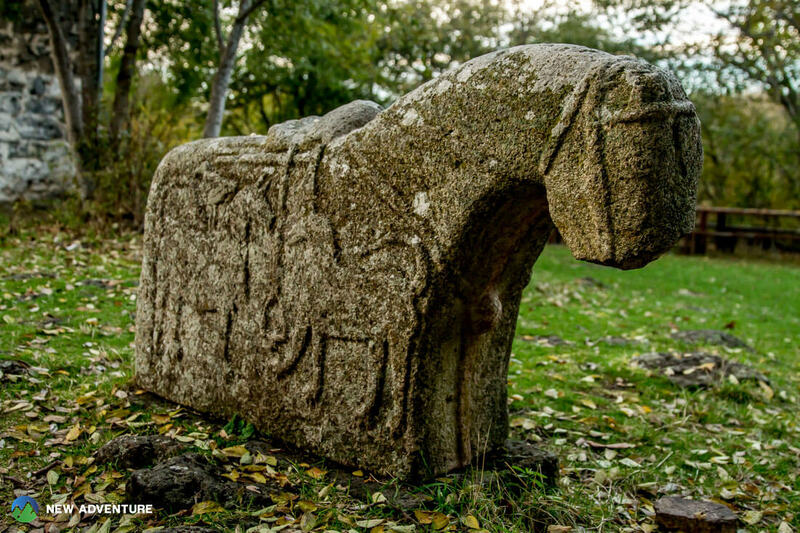 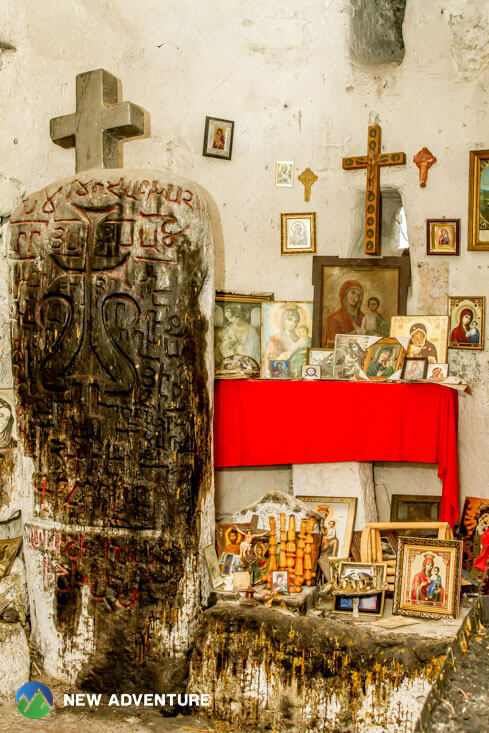 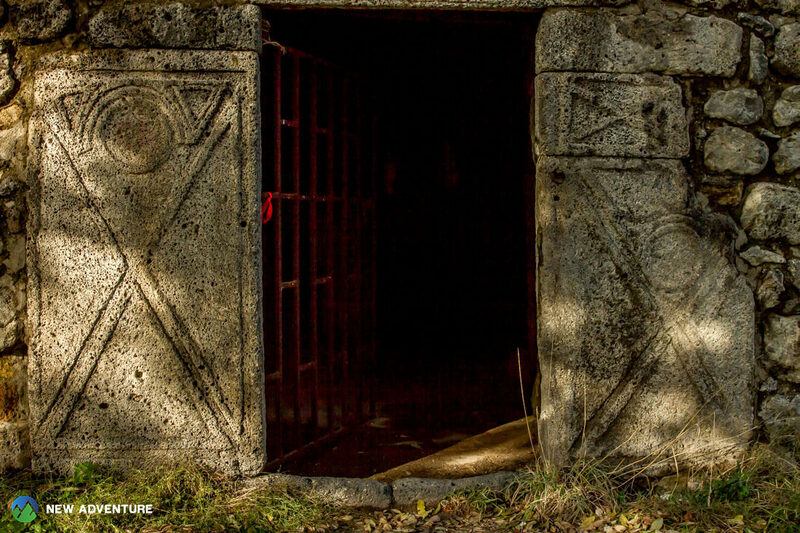 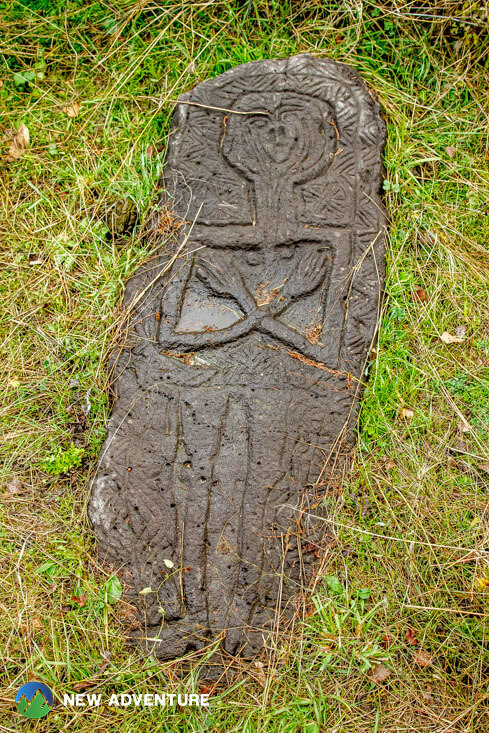 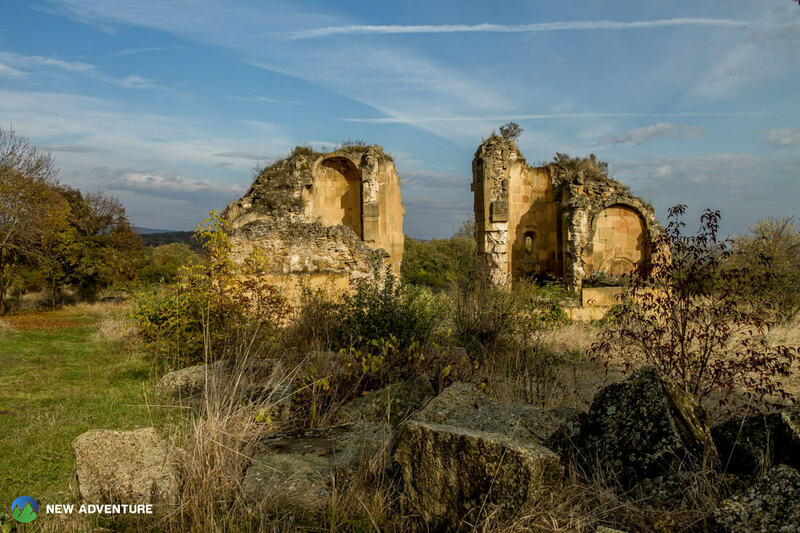 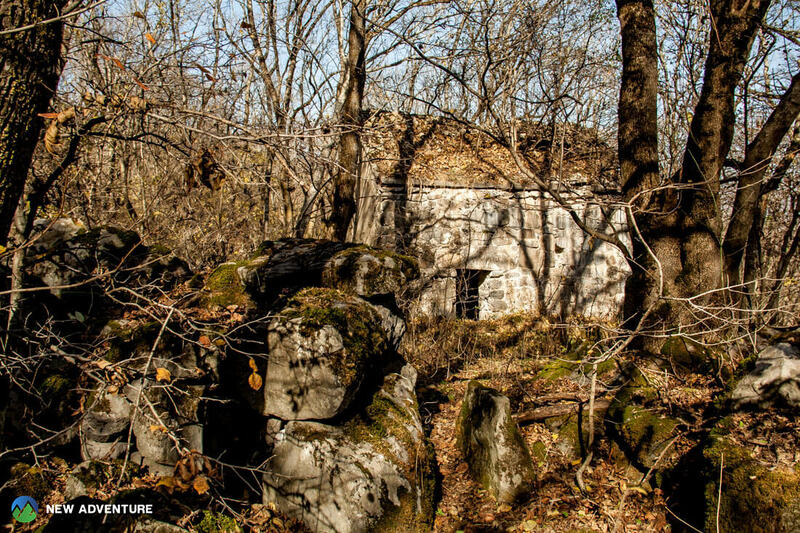 On our way, we visit megalithic fortress and Archangel Nunnery in the village Saro. 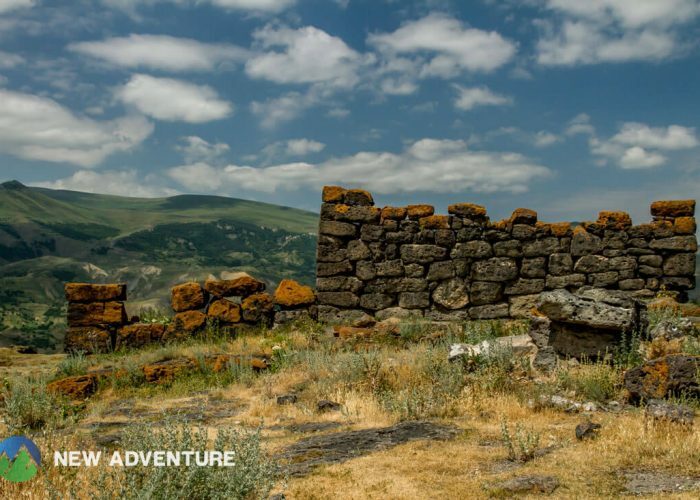 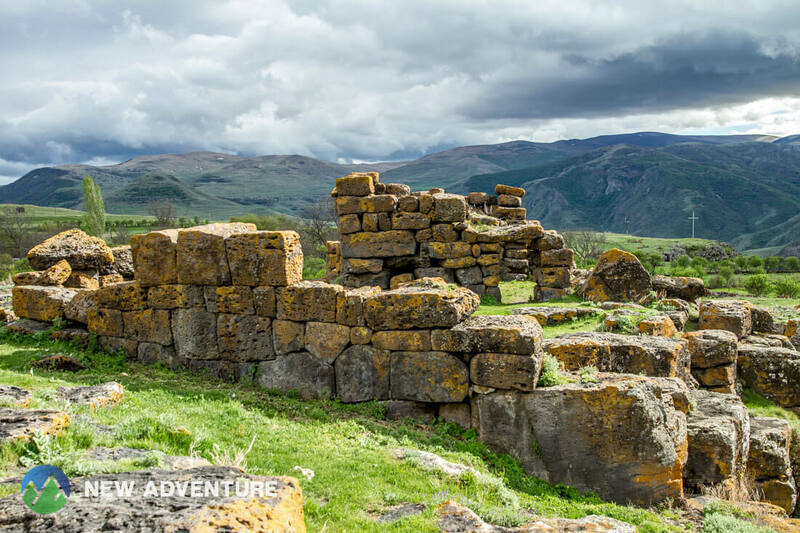 We have one hour of hiking through Vardzia – the town carved in rock as of the 12th century. We also visit Vani Caves and Khertvisi Fortress. 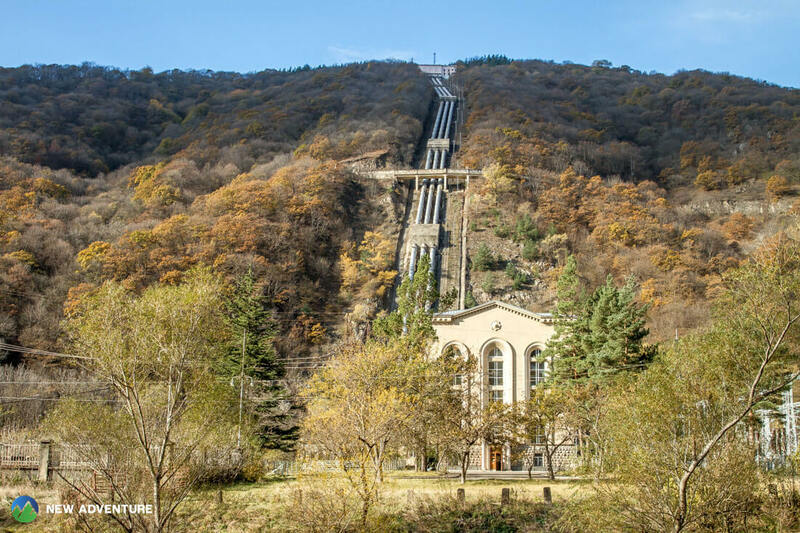 We drive back to Tbilisi via Akhaltsikhe. 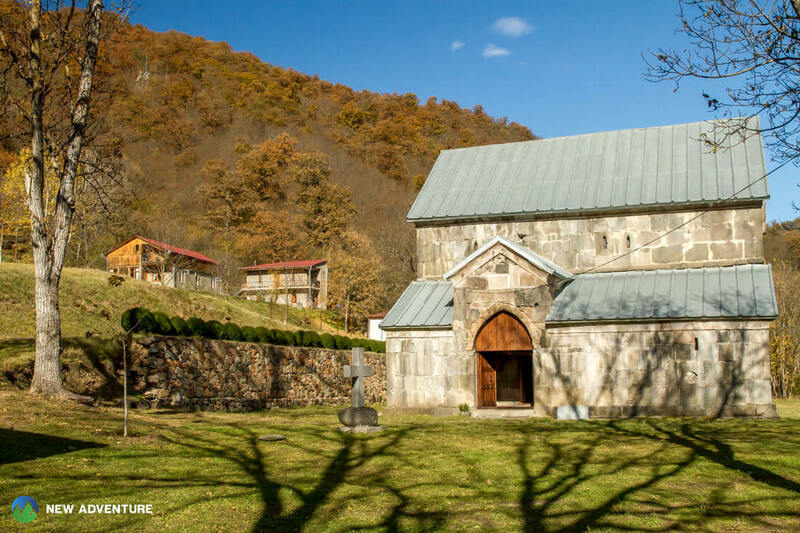 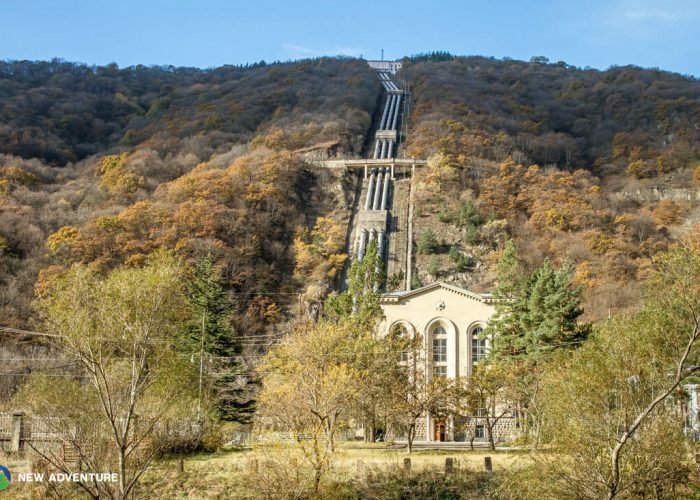 On our way, we visit Sapara Monastery and Rabati Fortress in Akhaltsikhe. 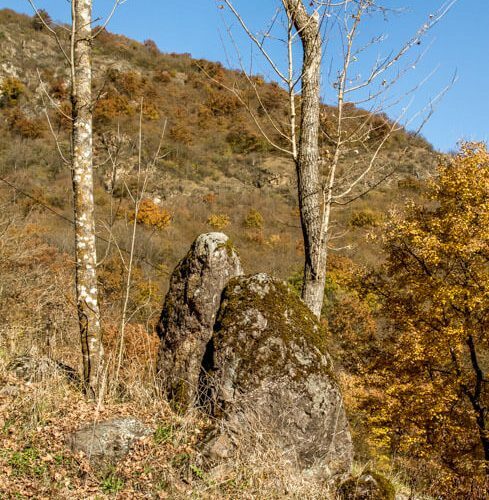 Then we drive to east of Georgia to visit Uplistsikhe – the ancient cave town carved in rock, considered as one of the ancient settlements in the whole Caucasus.